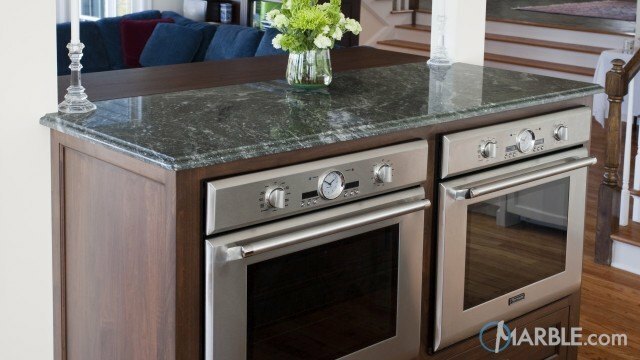 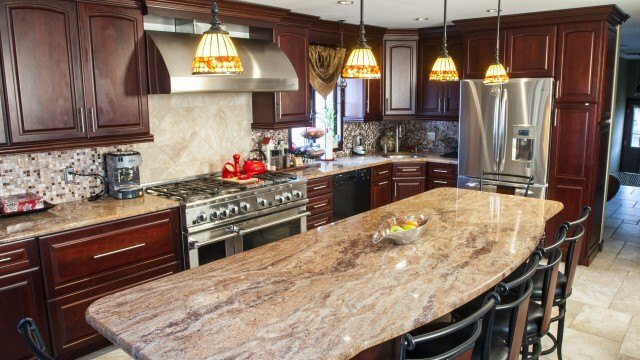 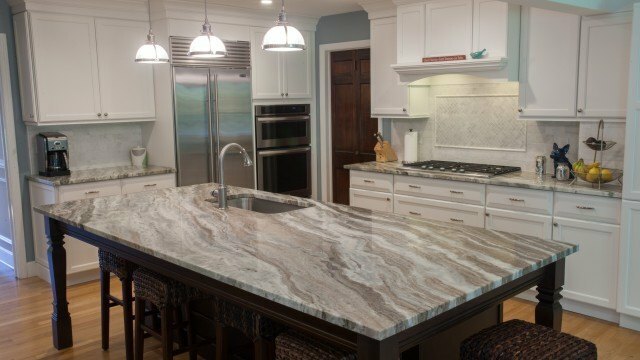 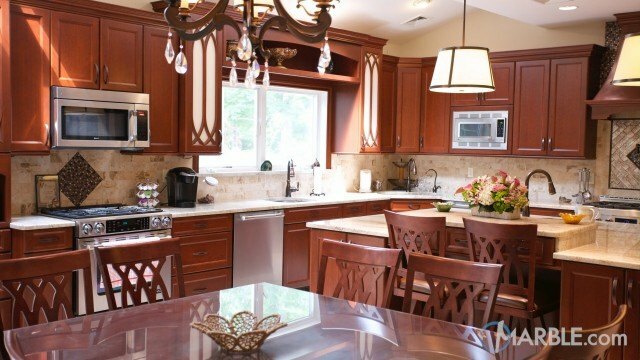 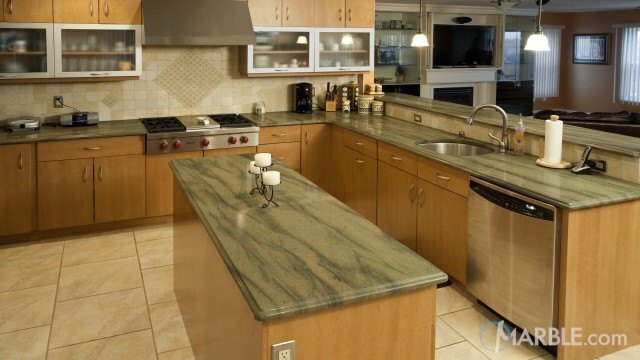 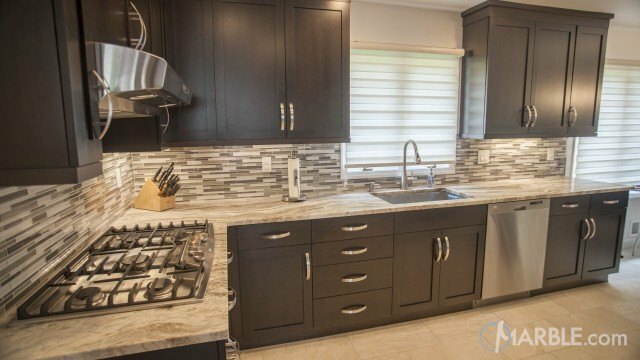 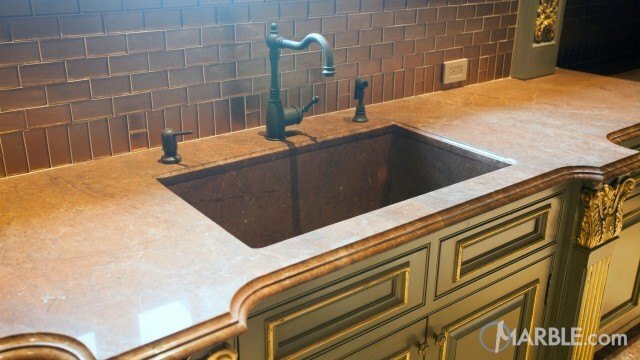 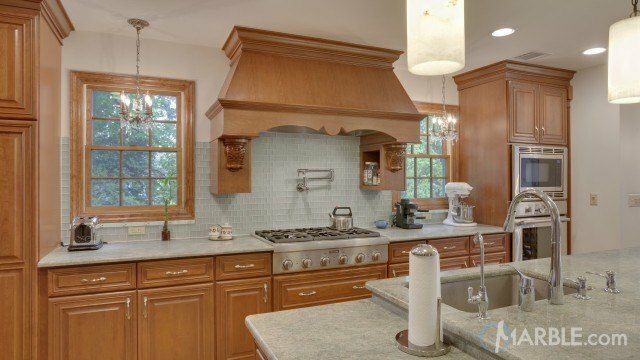 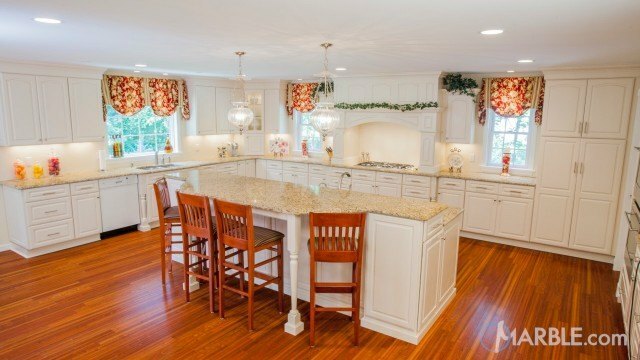 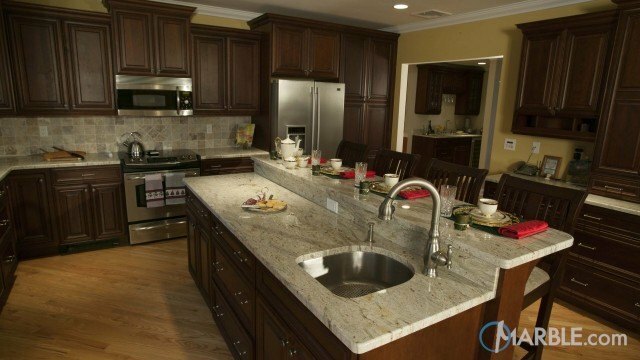 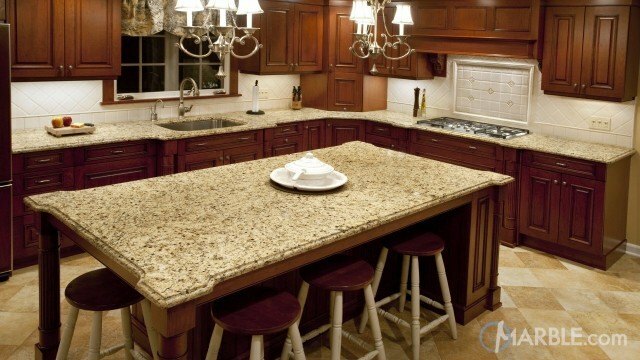 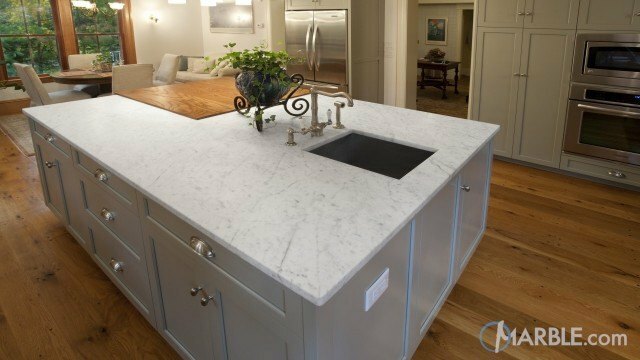 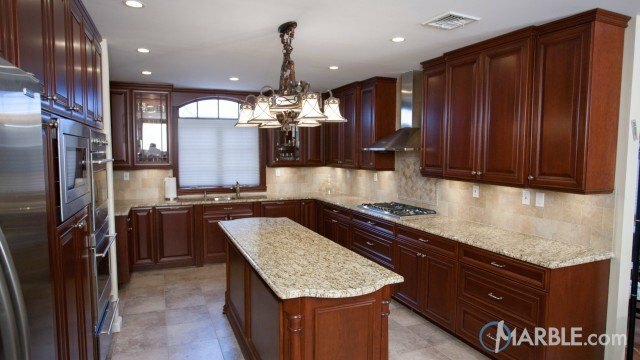 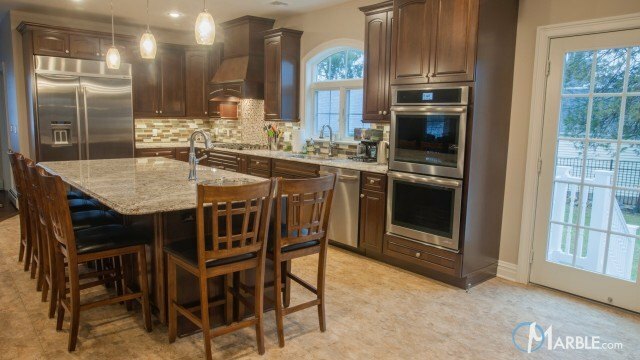 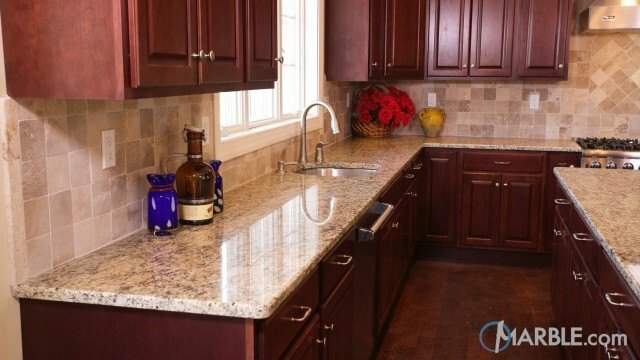 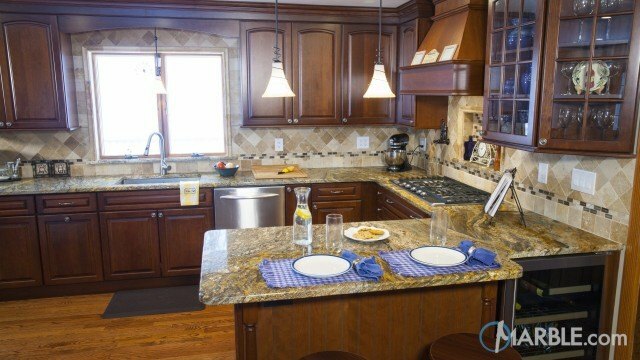 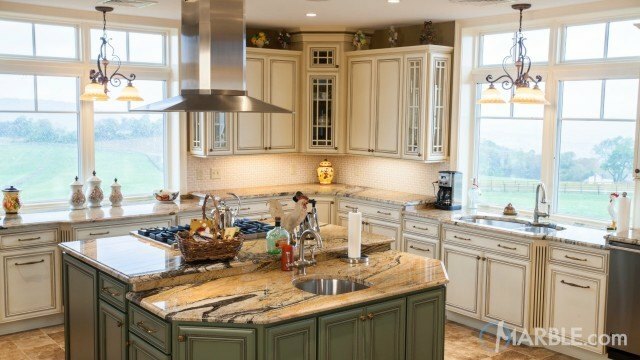 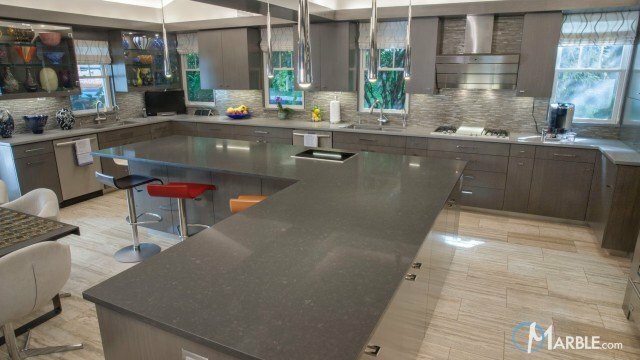 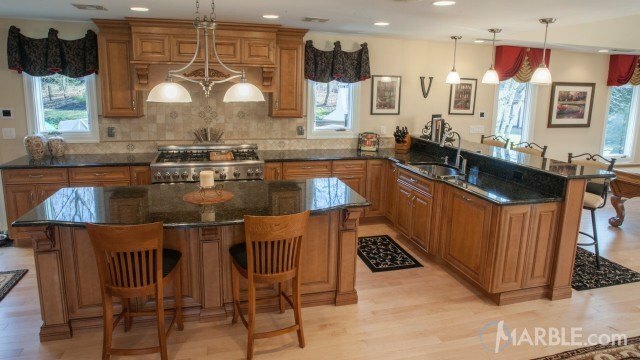 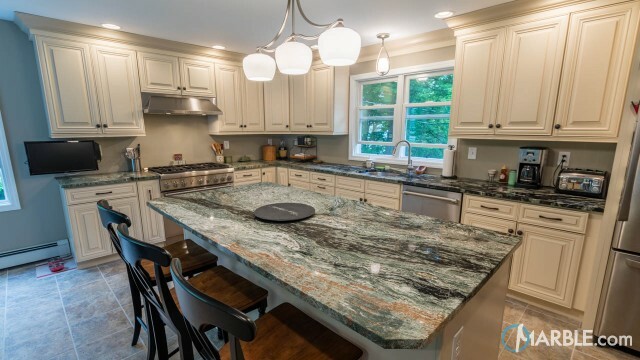 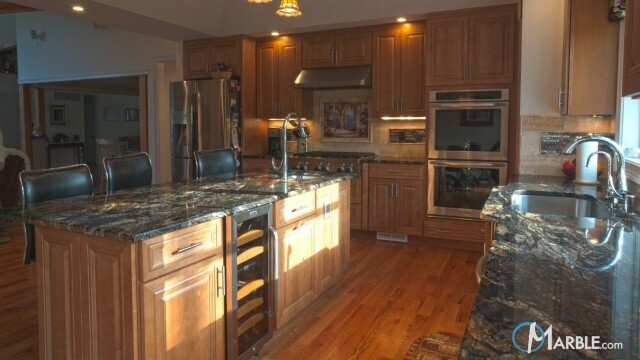 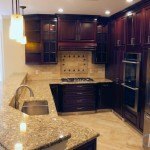 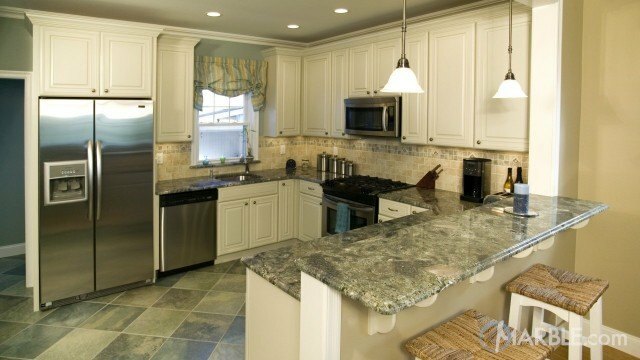 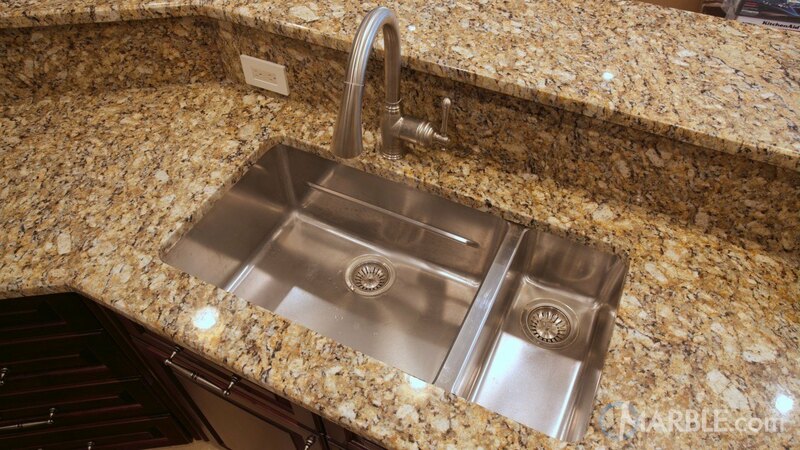 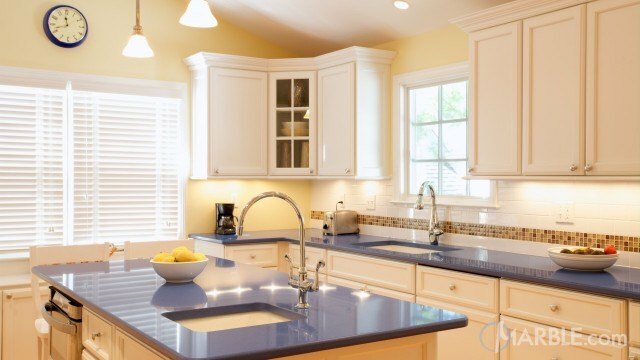 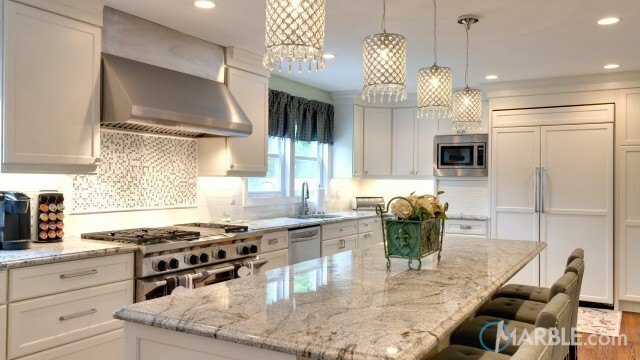 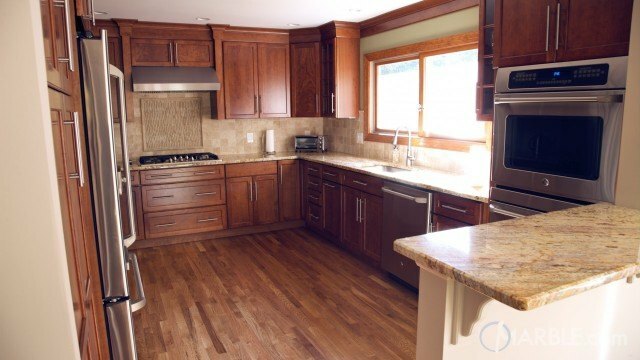 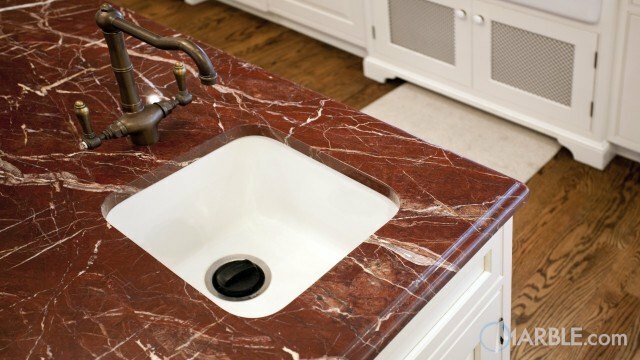 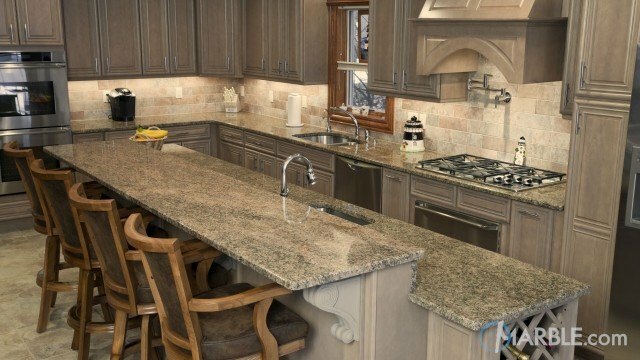 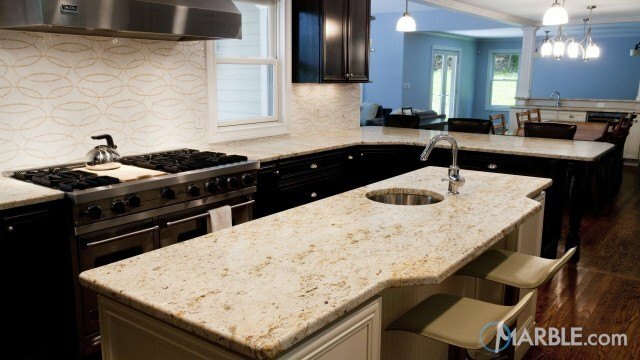 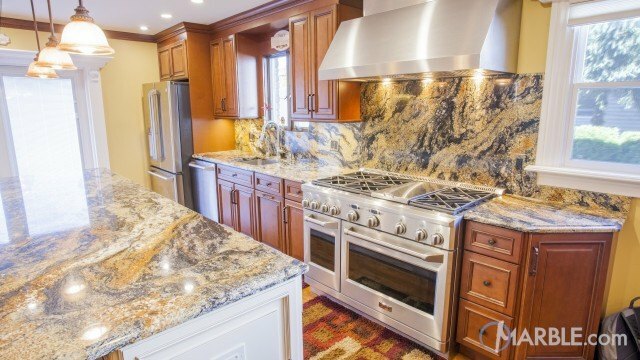 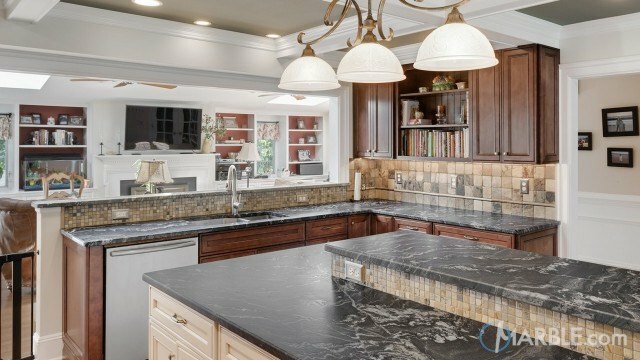 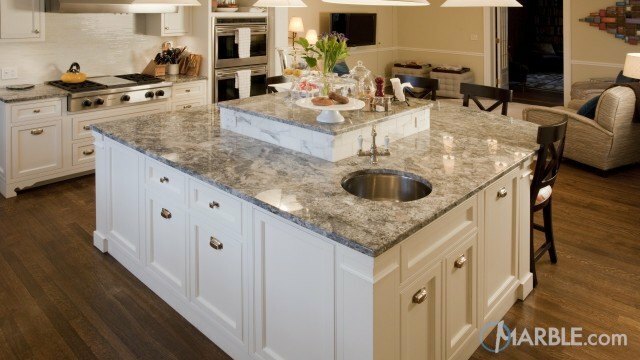 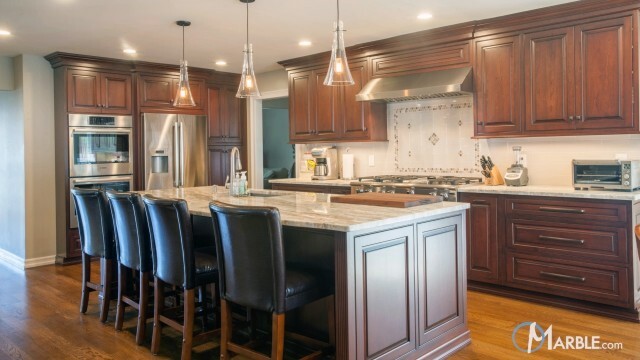 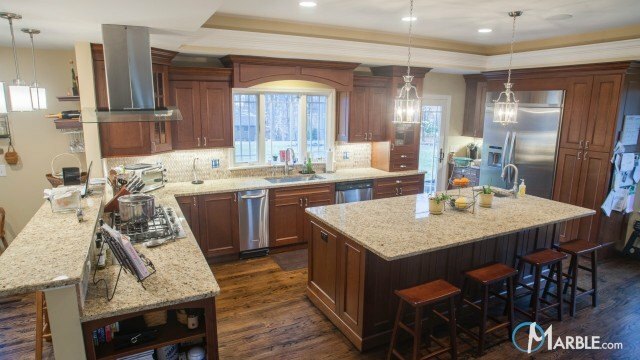 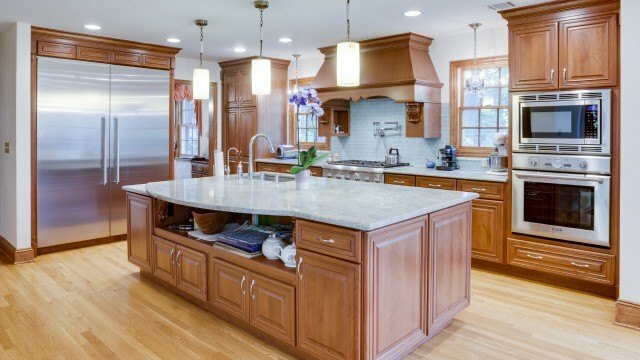 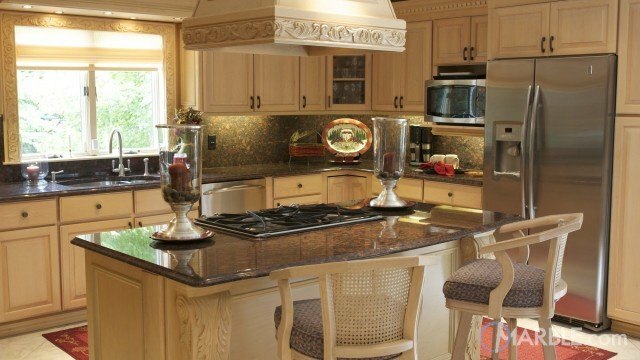 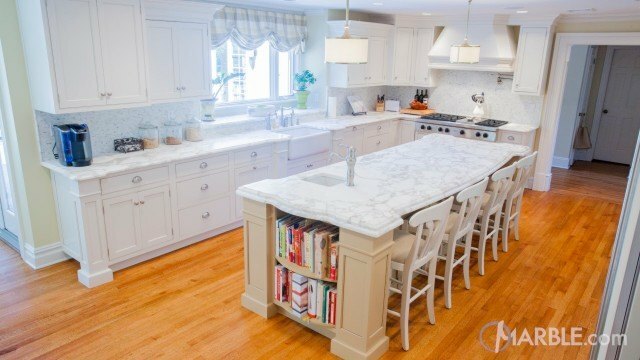 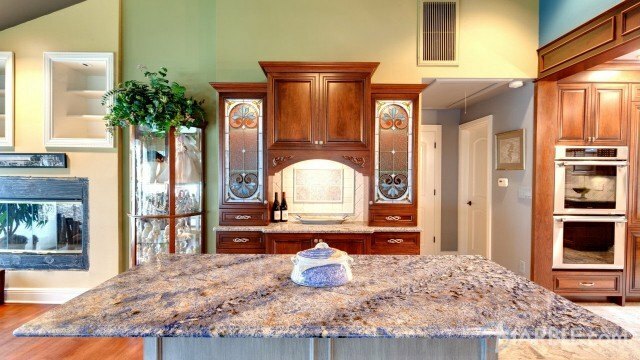 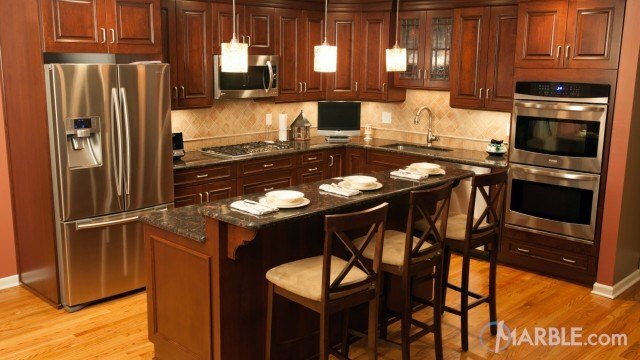 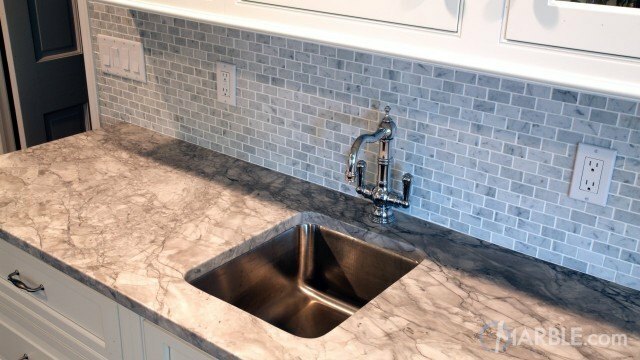 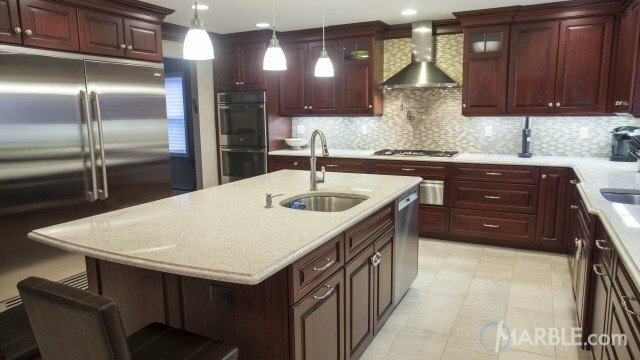 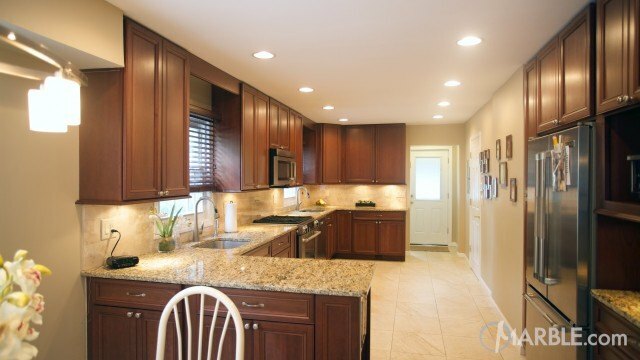 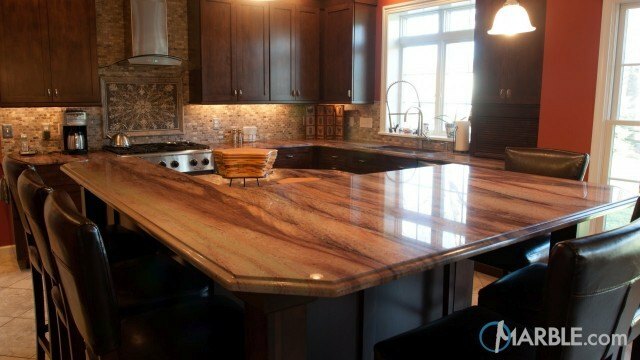 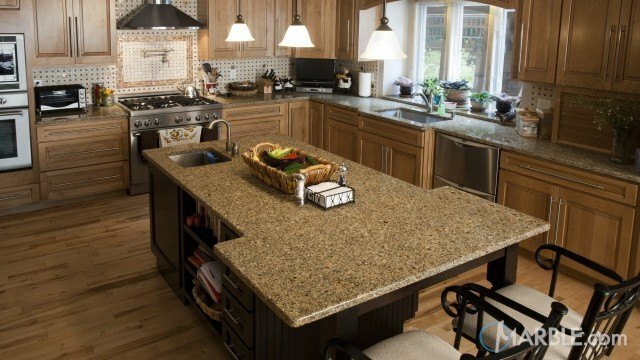 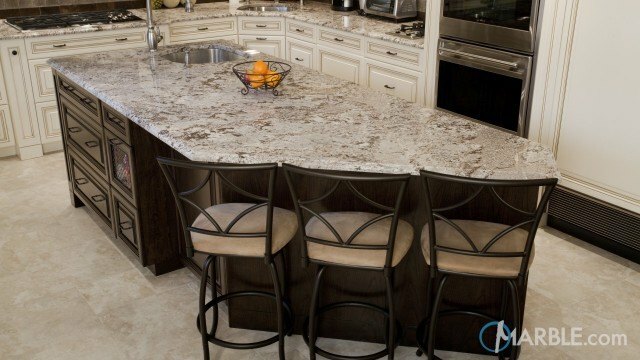 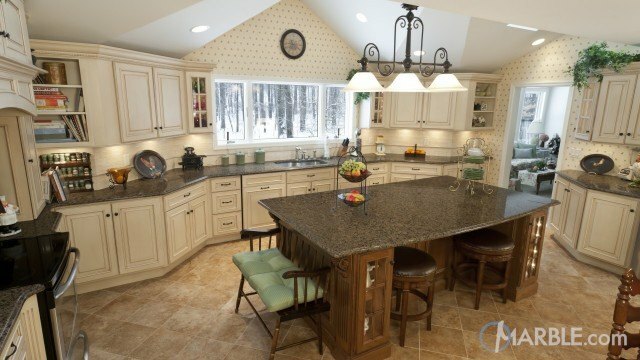 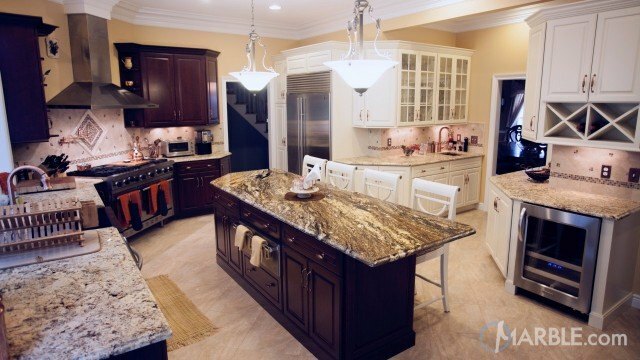 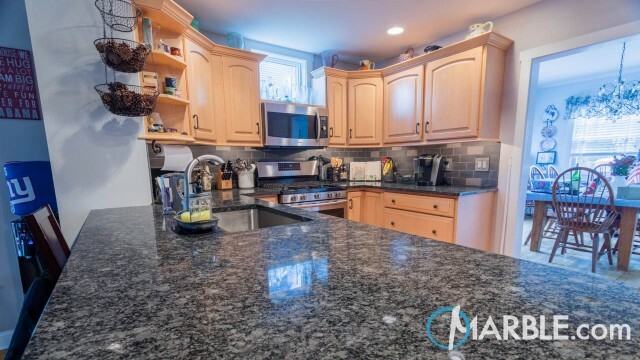 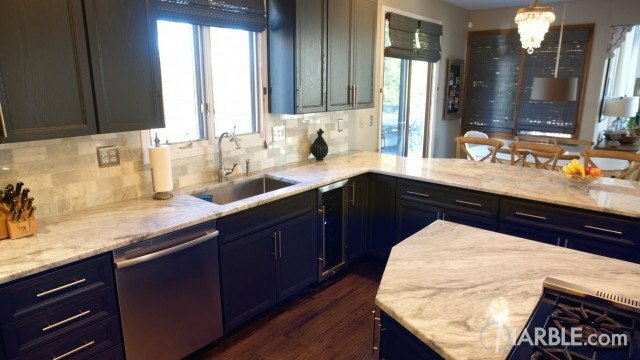 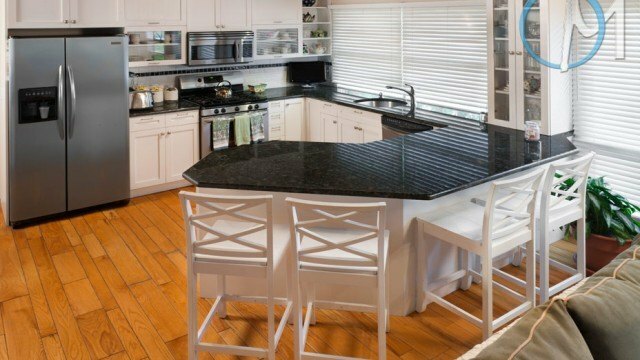 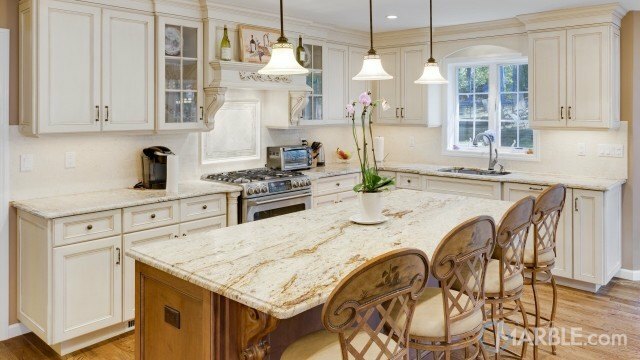 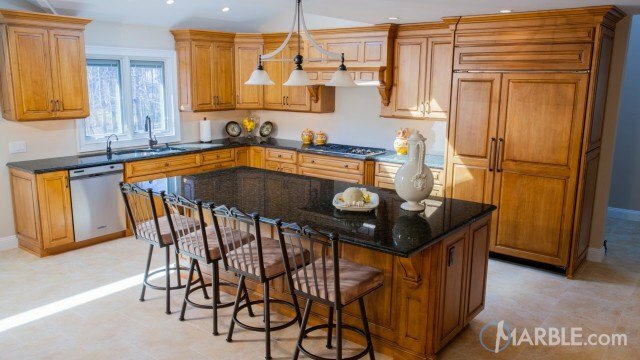 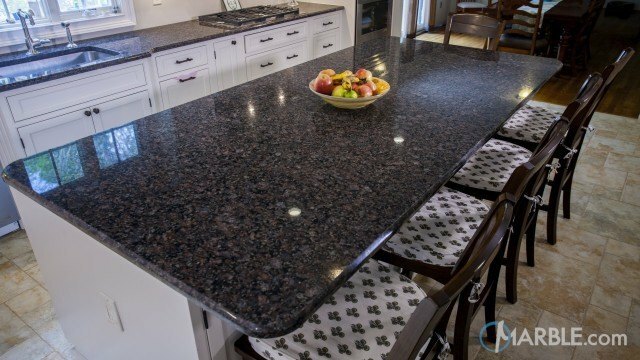 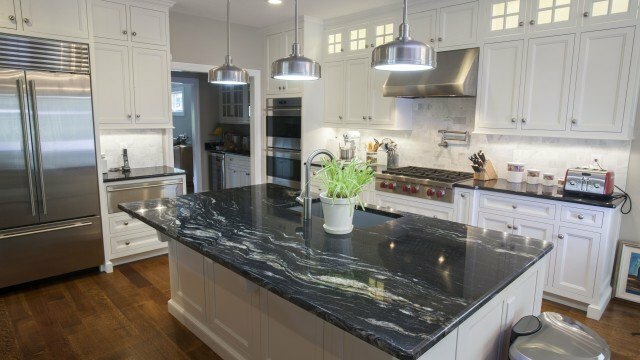 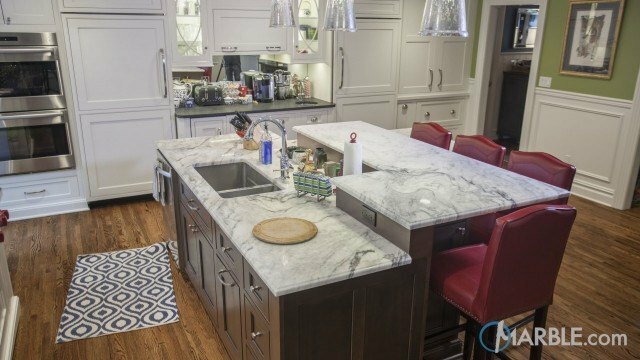 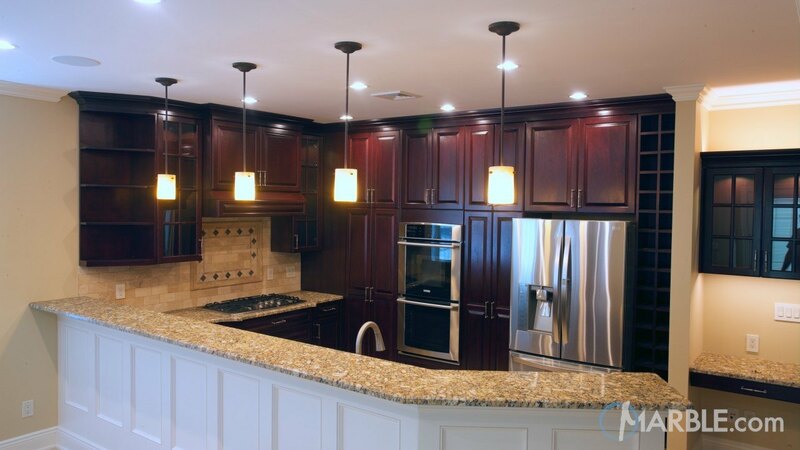 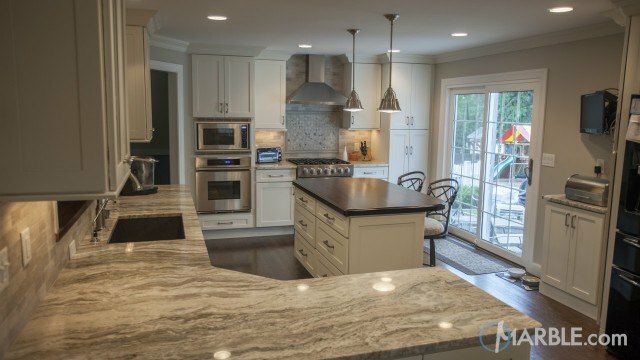 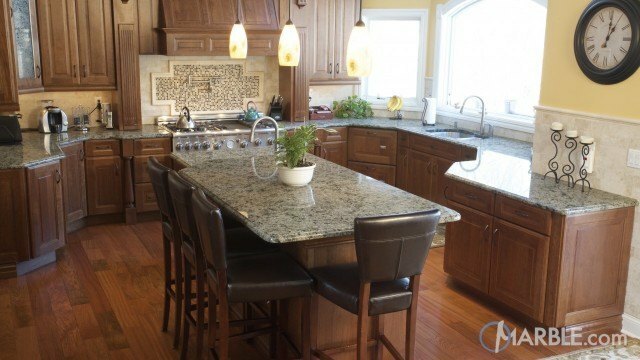 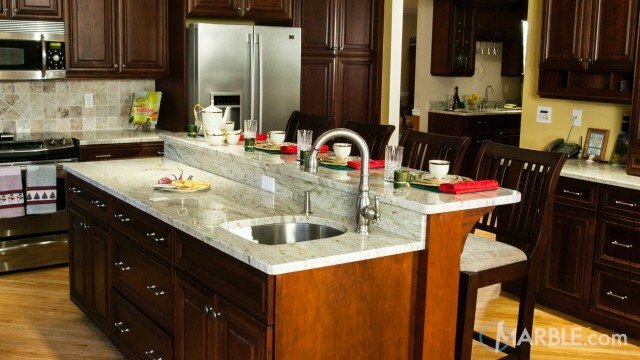 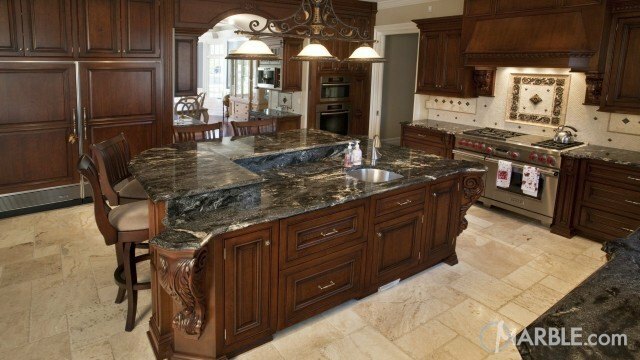 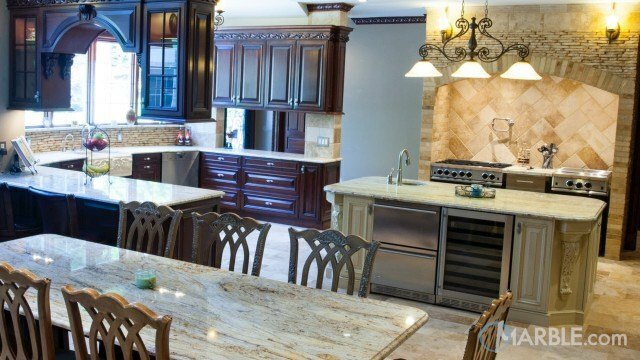 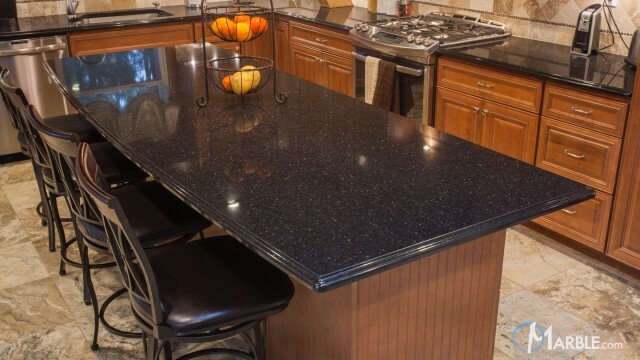 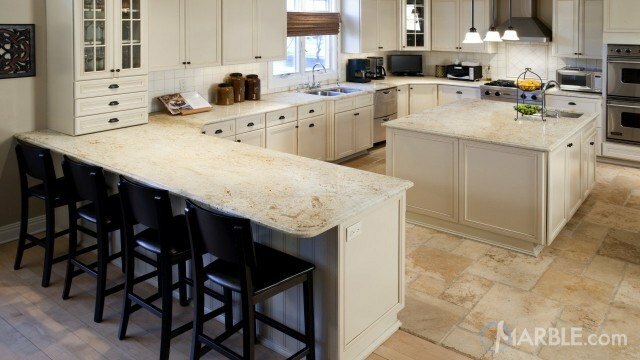 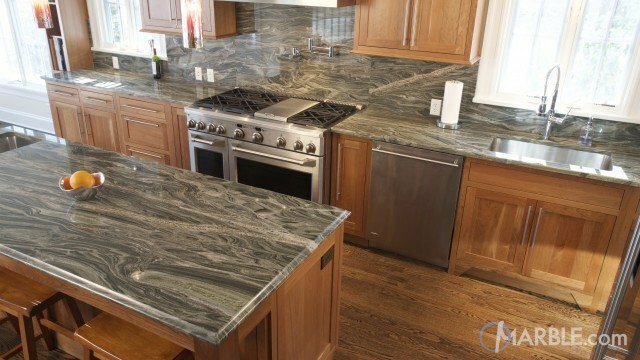 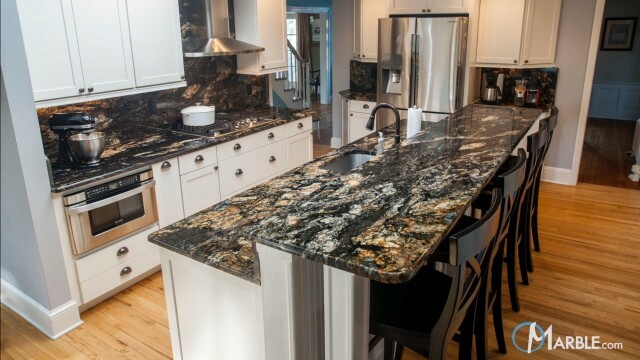 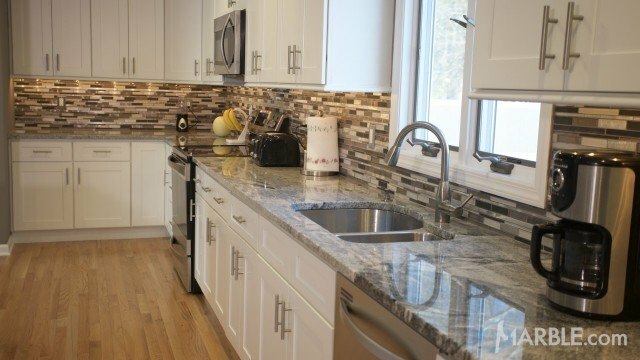 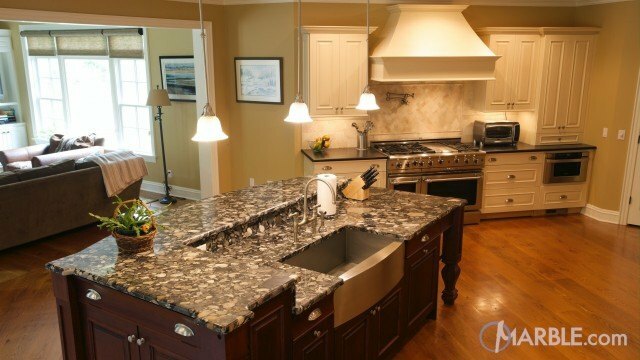 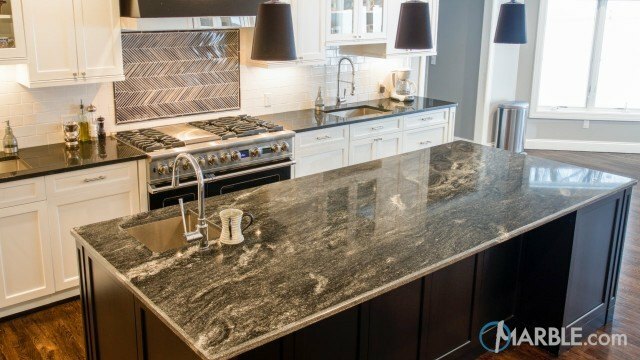 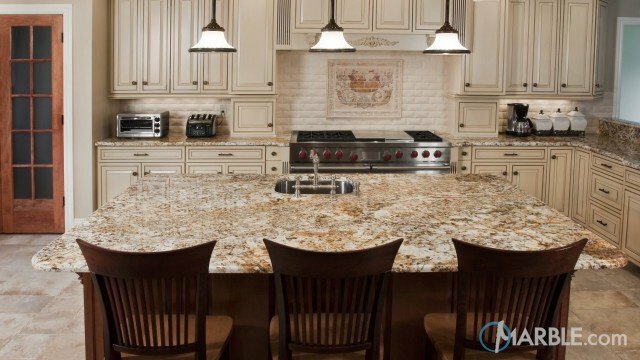 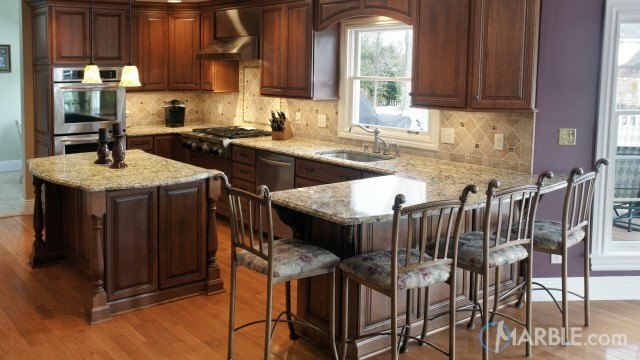 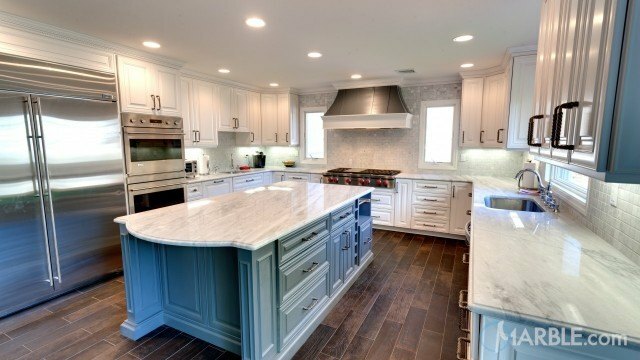 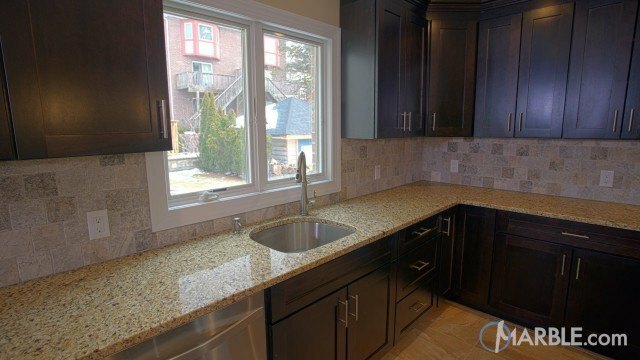 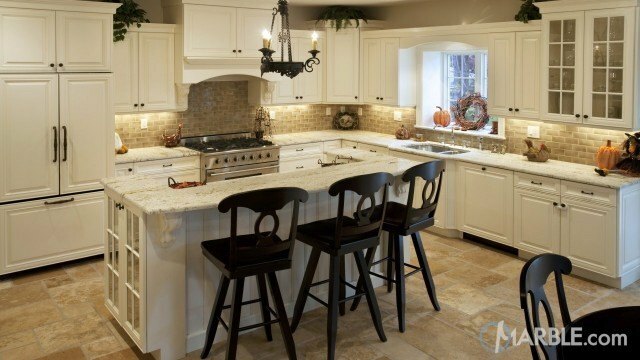 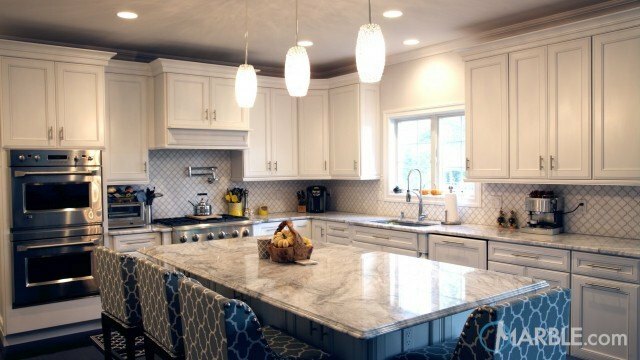 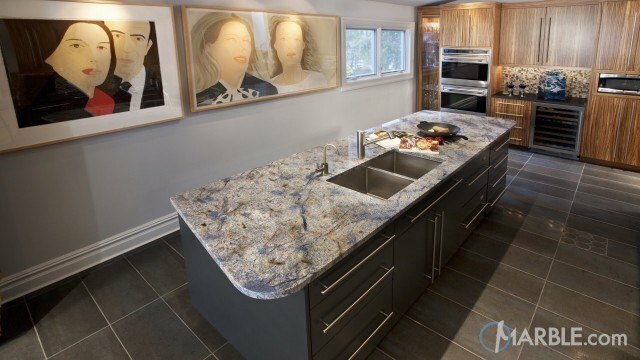 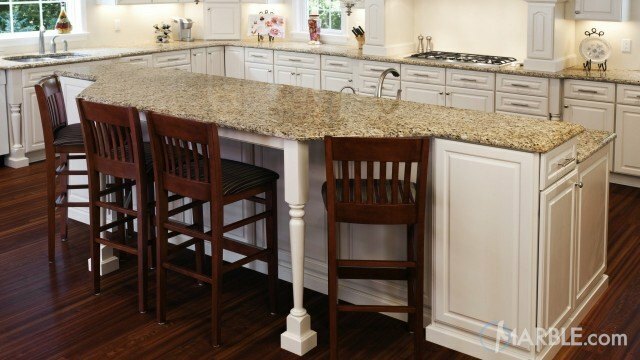 Classic dark wood cabinets are accompanied by Giallo Napoleone granite counter tops with a 1/4 Bevel Edge. 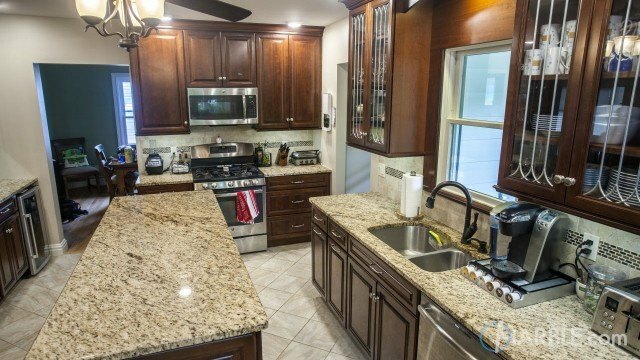 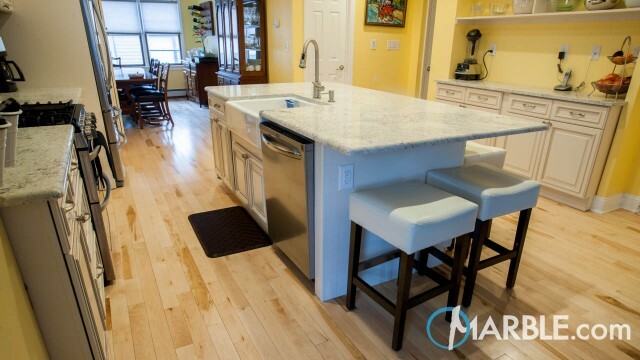 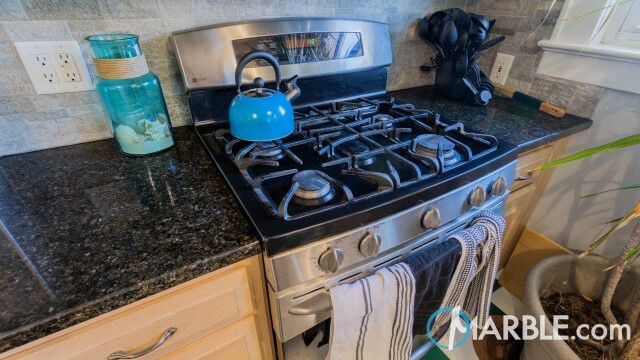 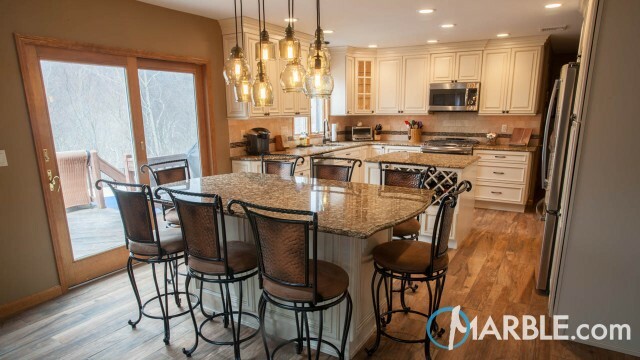 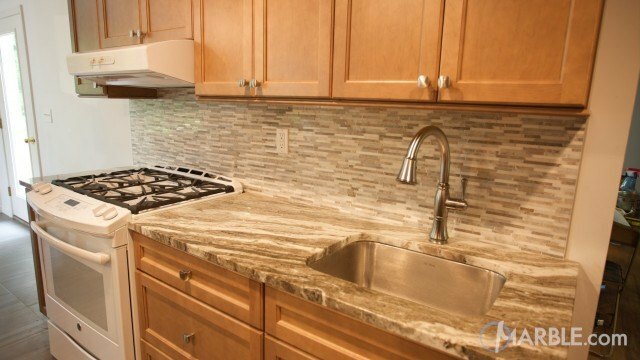 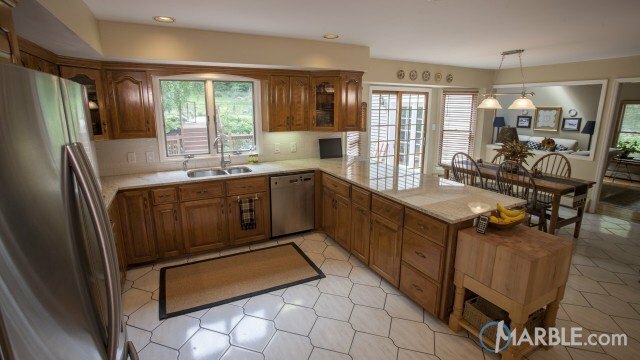 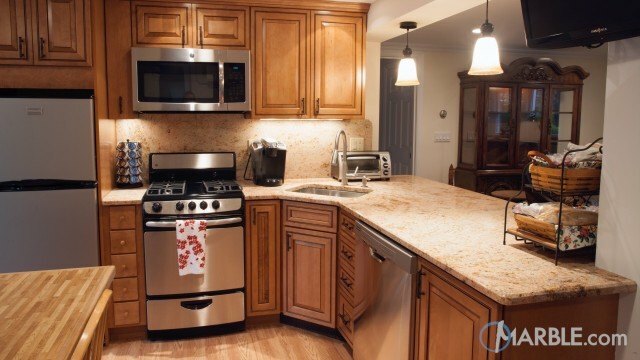 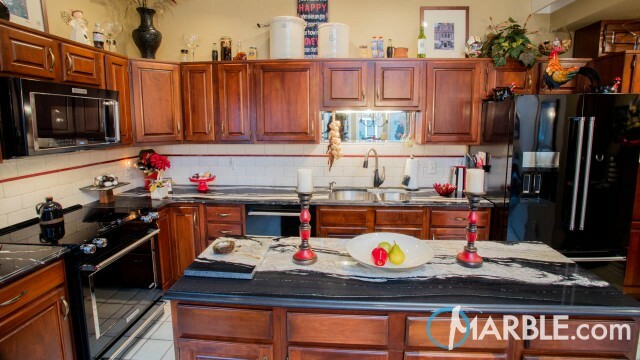 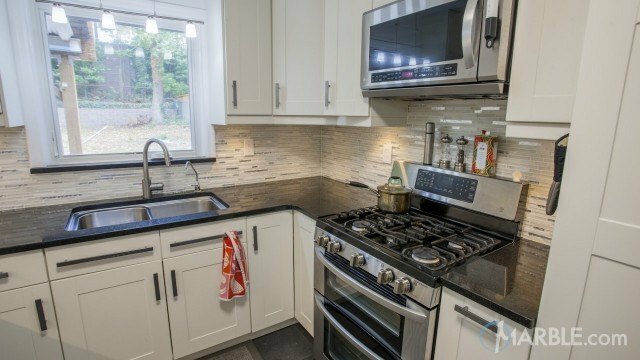 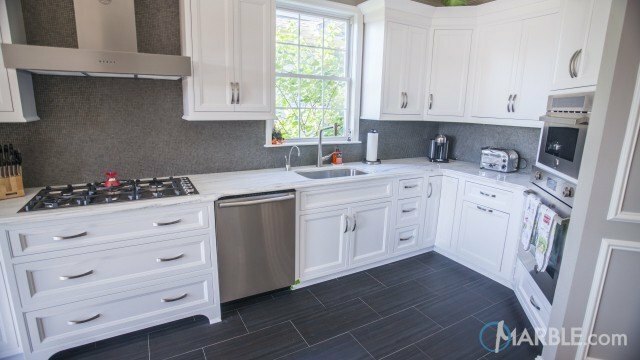 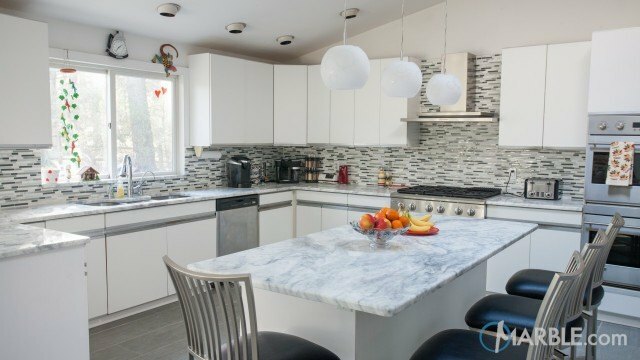 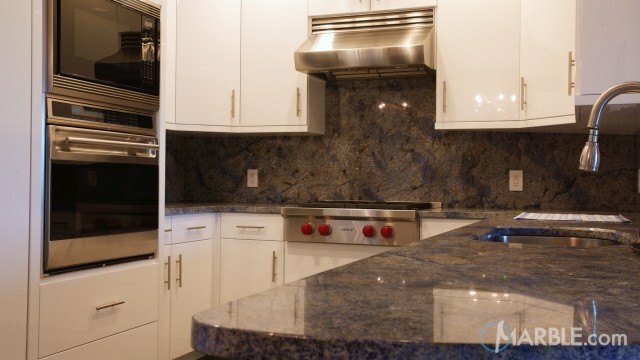 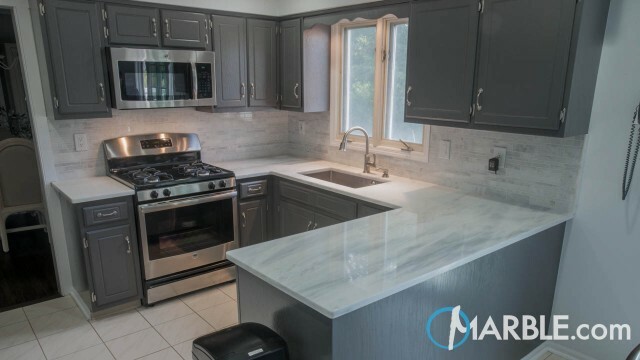 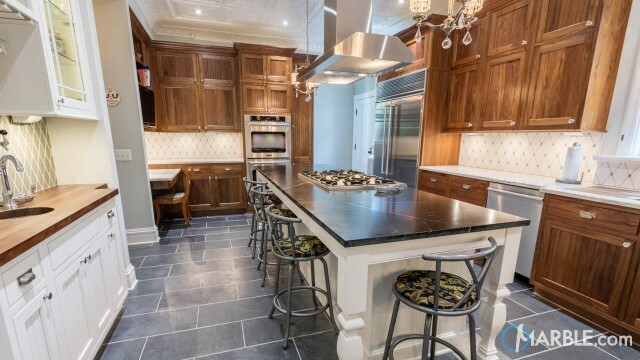 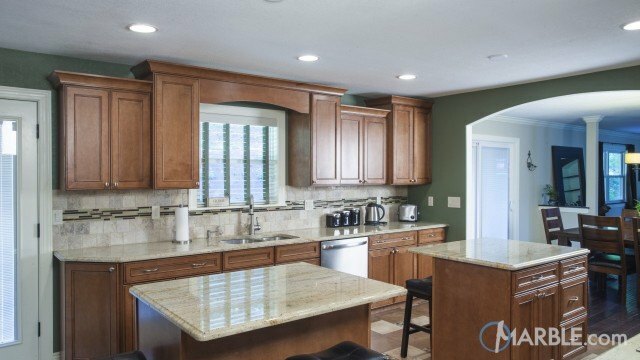 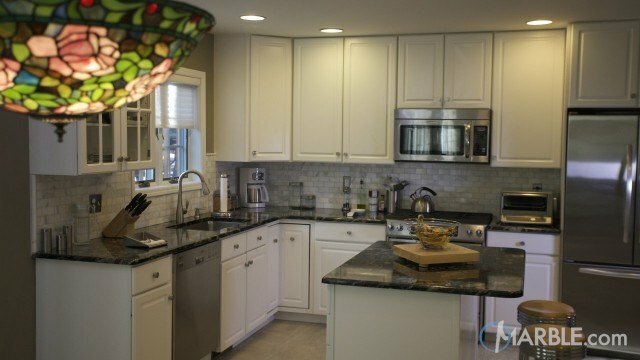 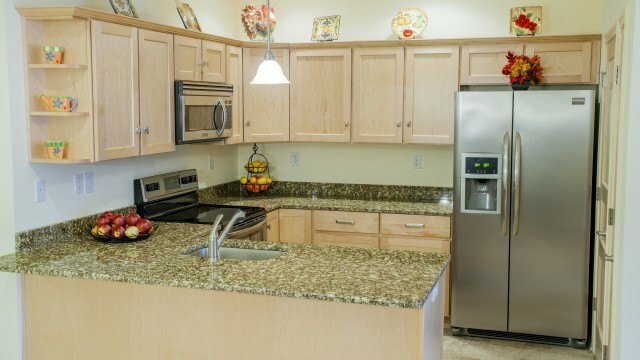 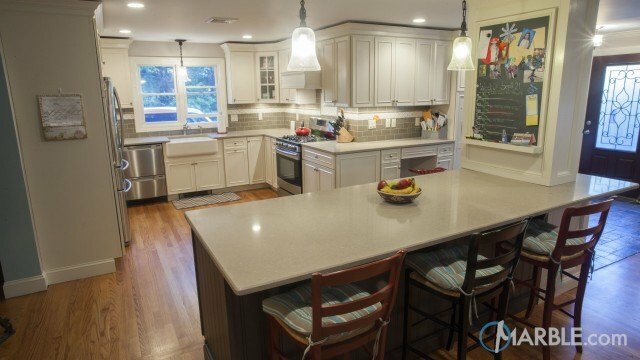 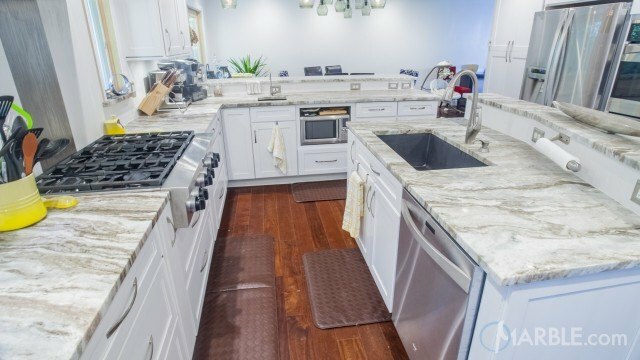 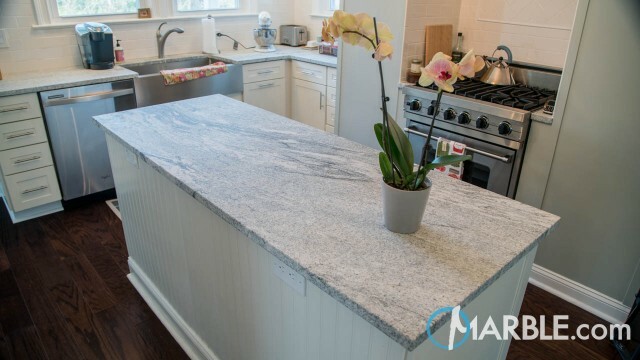 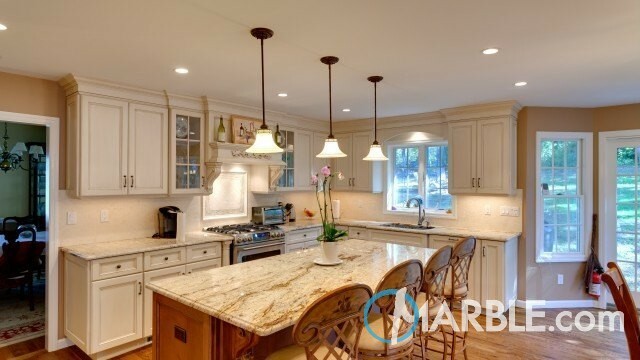 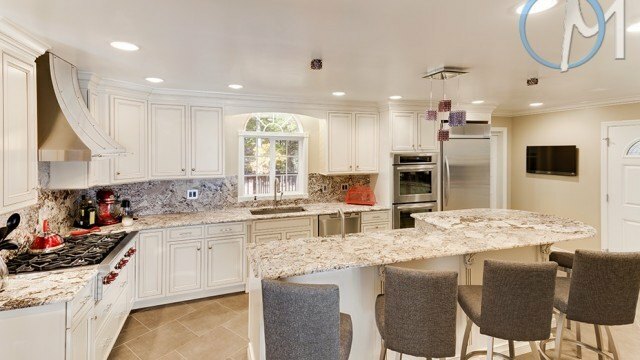 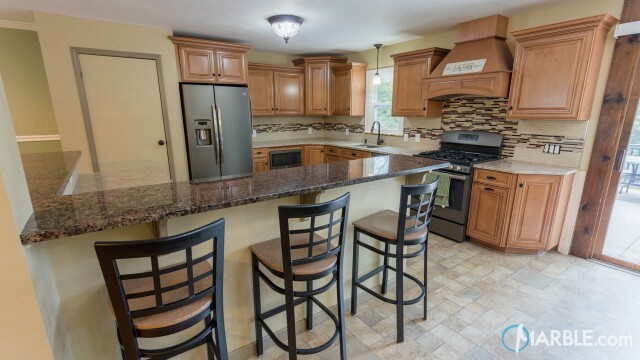 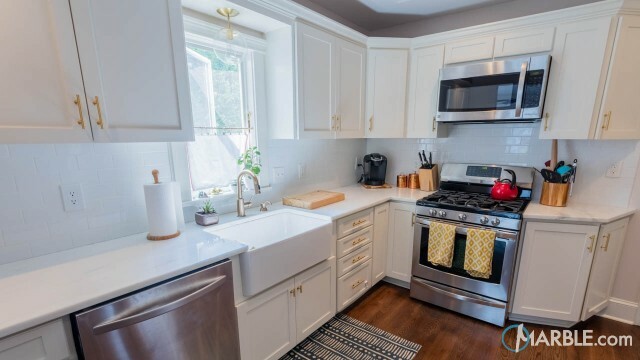 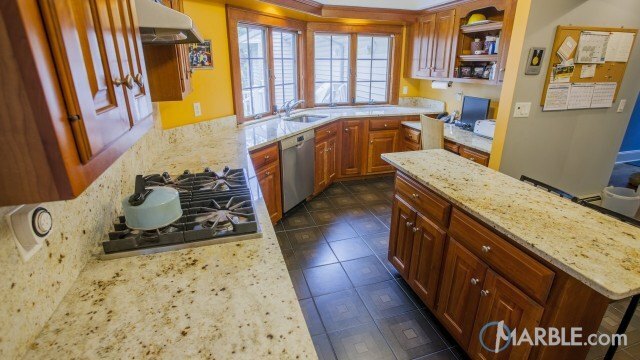 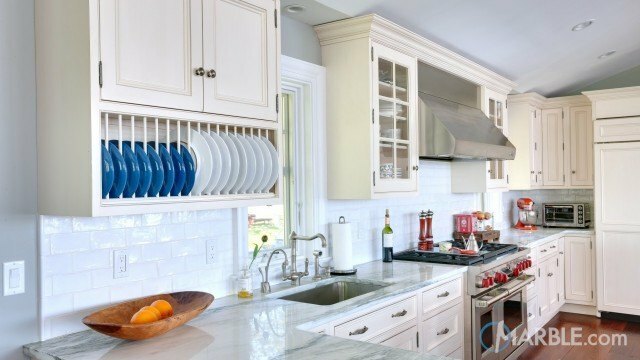 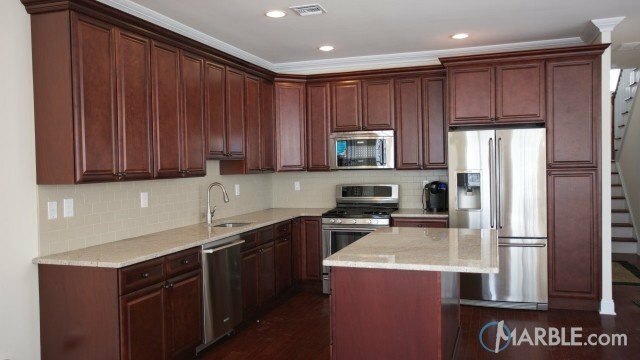 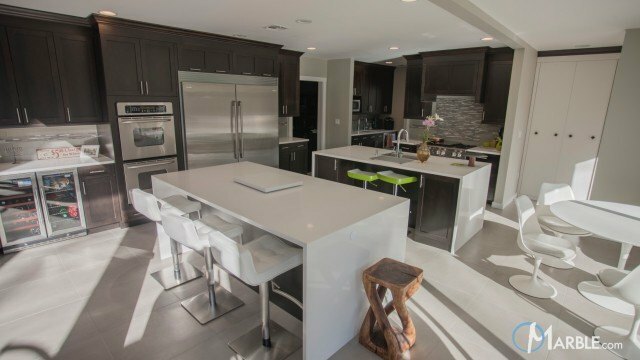 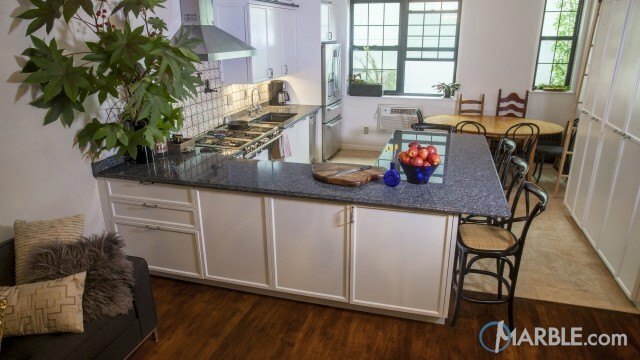 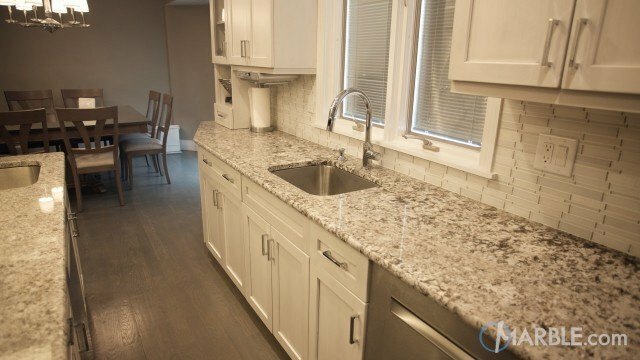 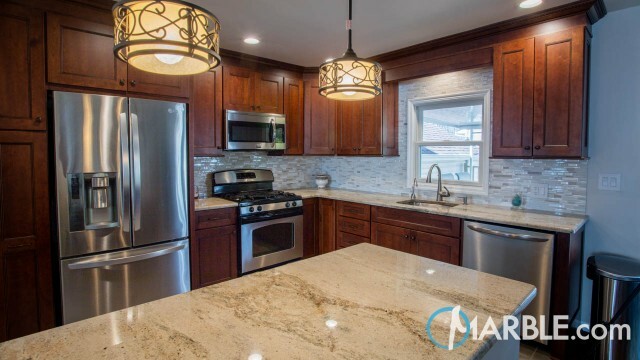 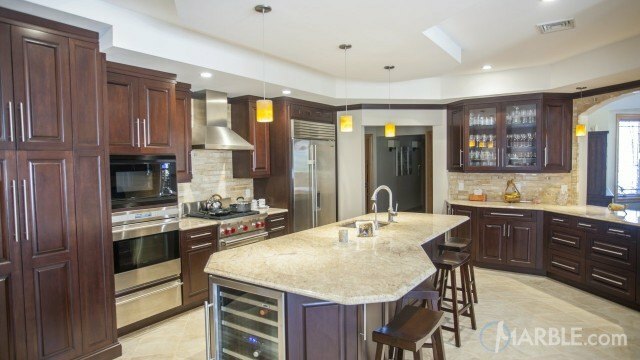 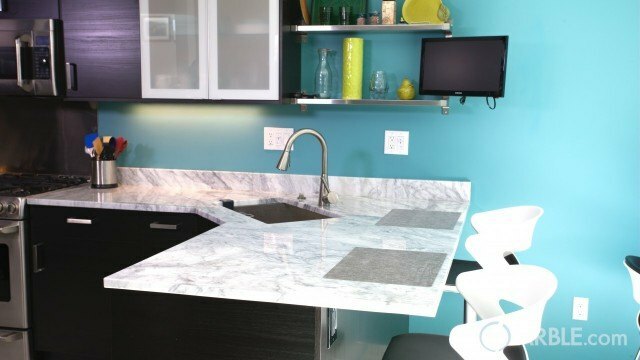 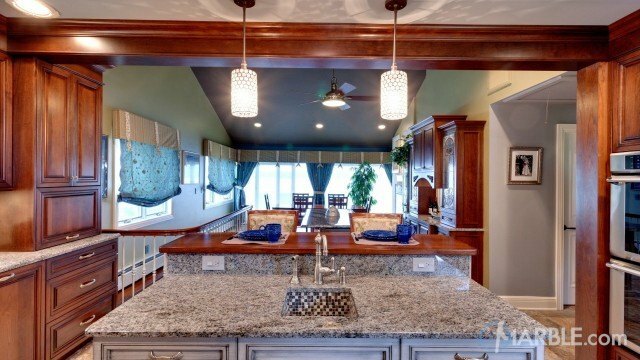 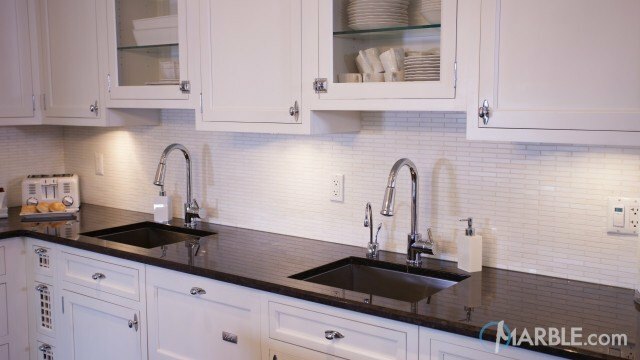 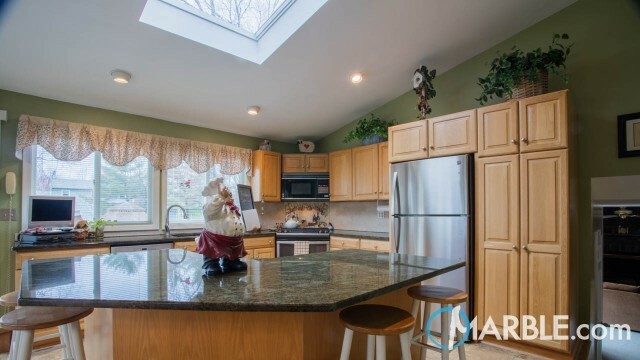 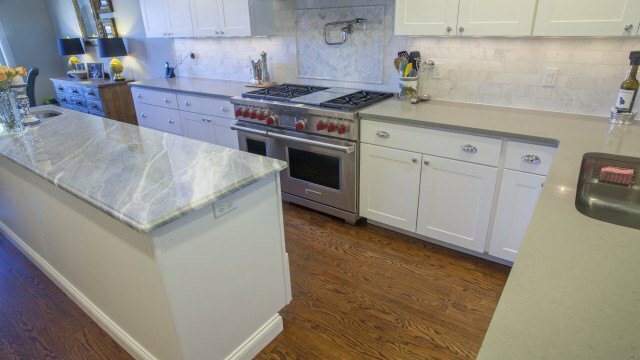 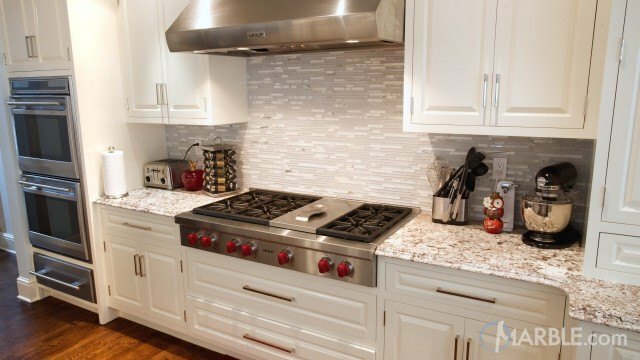 Tile on the kitchen walls and the full wall of cabinets are complete with stainless appliances and a tiled floor. 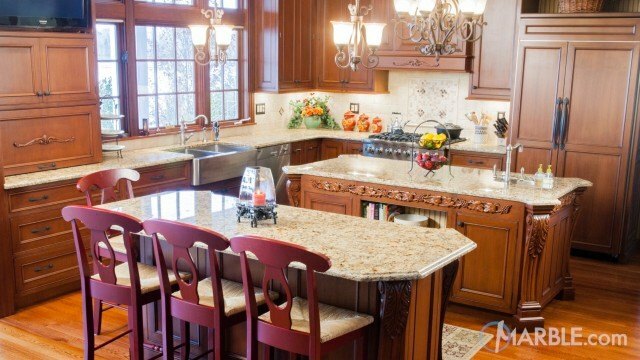 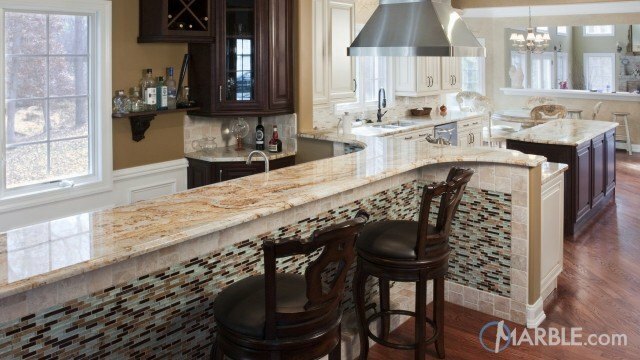 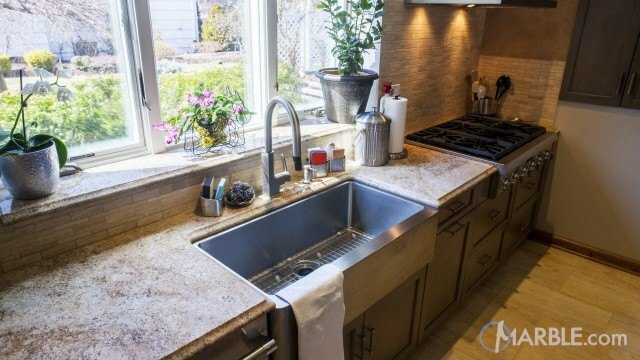 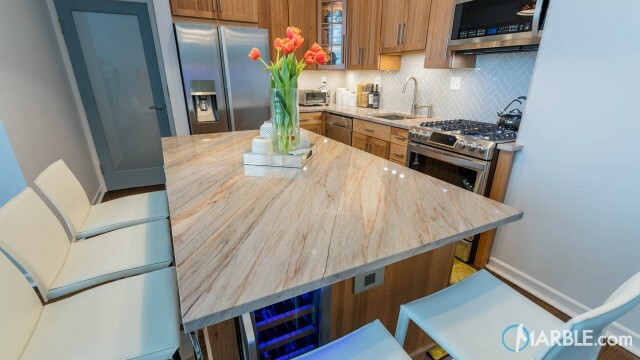 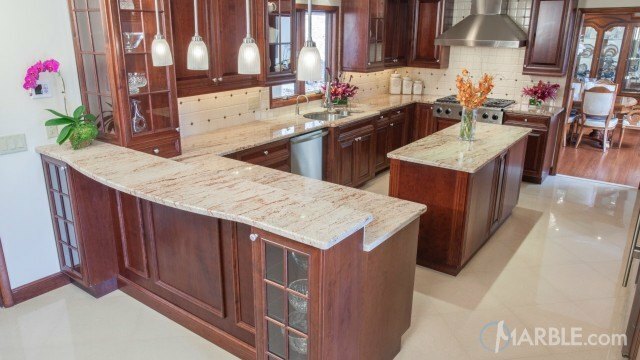 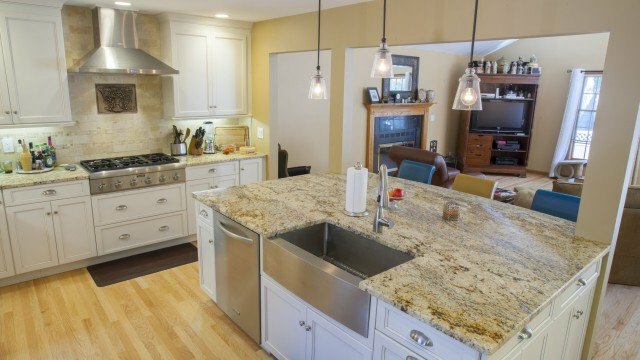 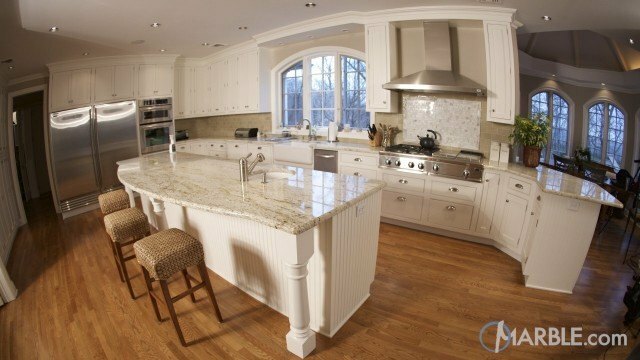 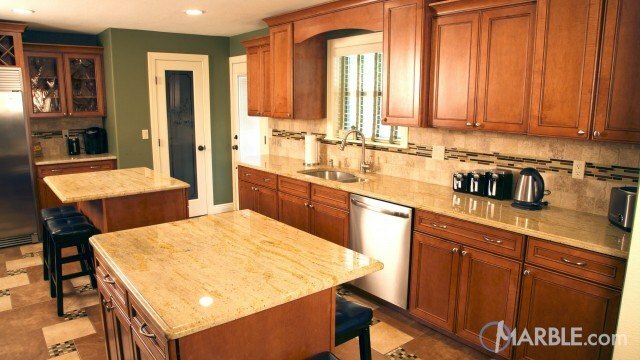 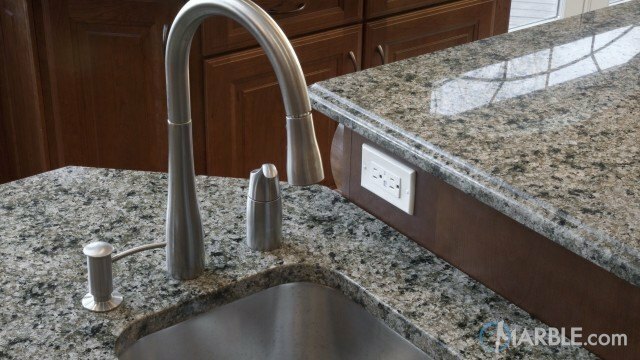 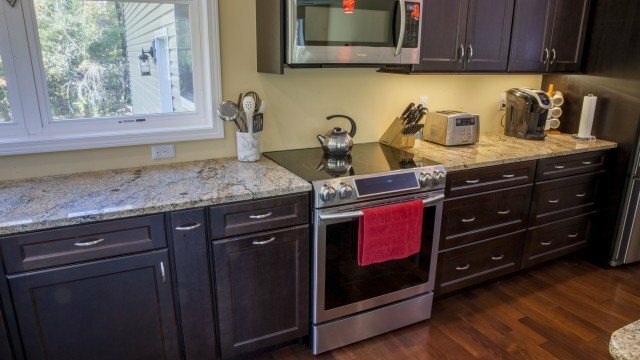 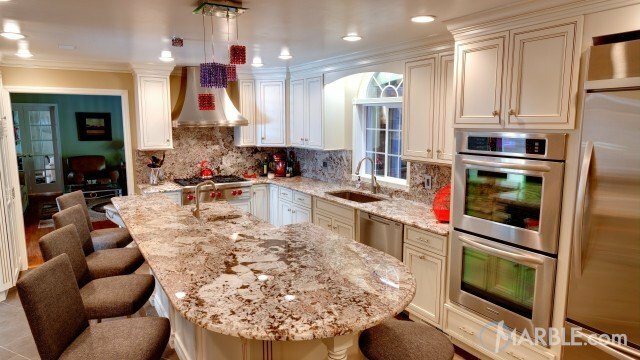 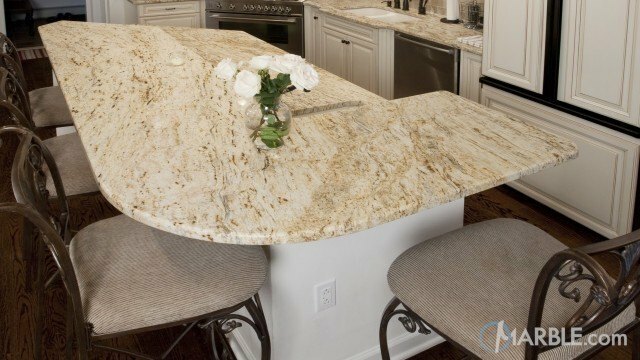 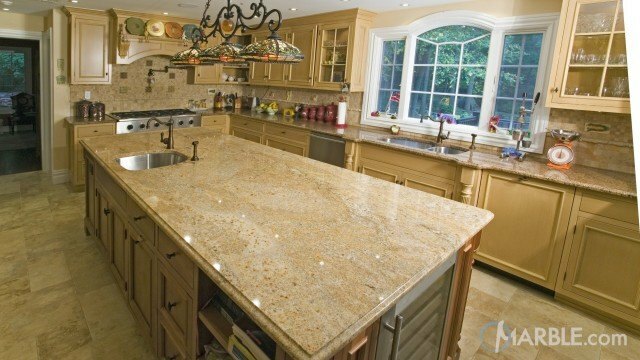 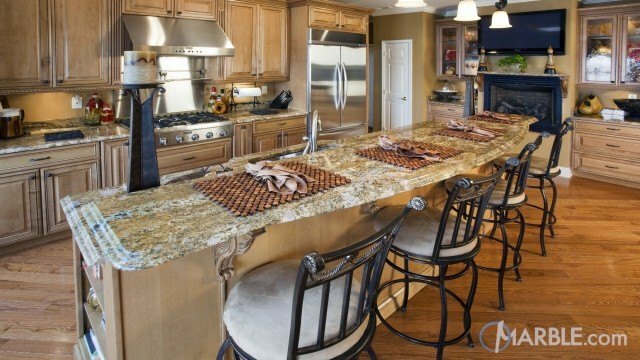 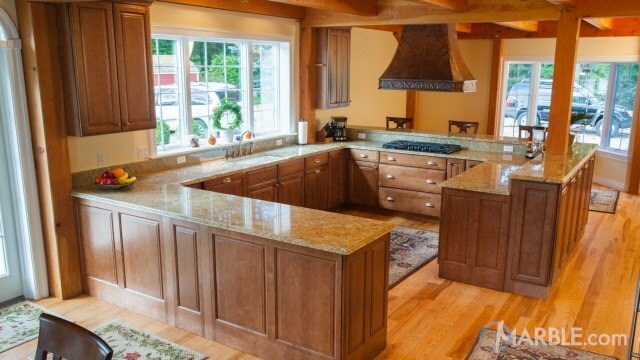 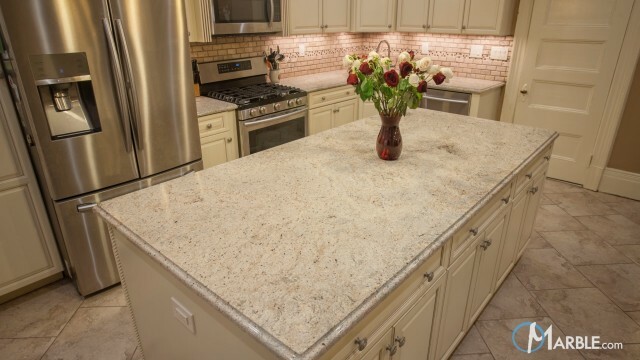 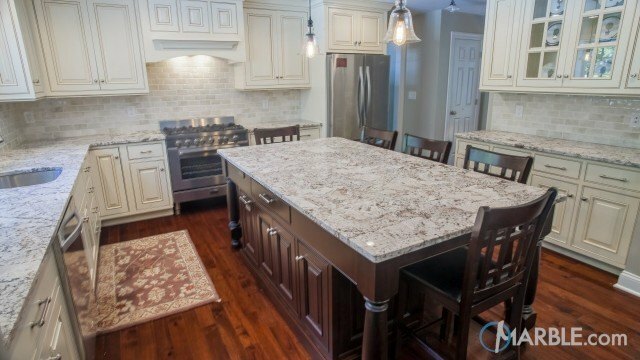 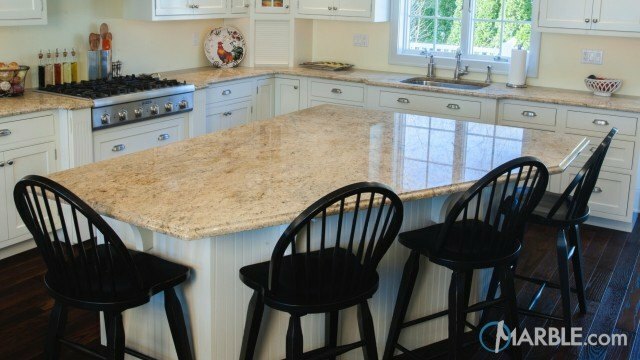 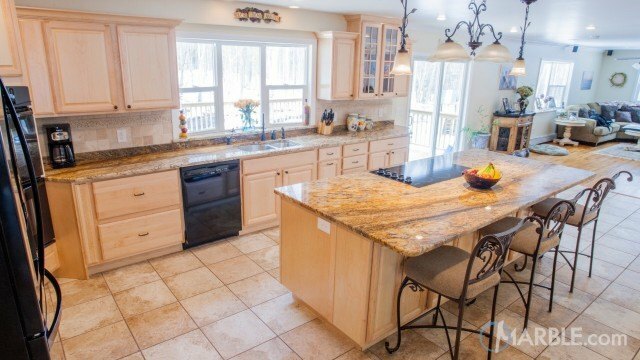 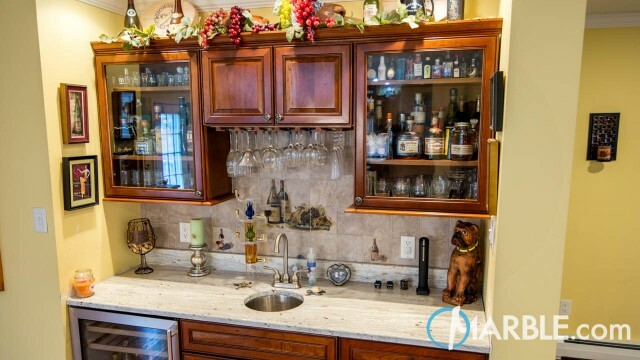 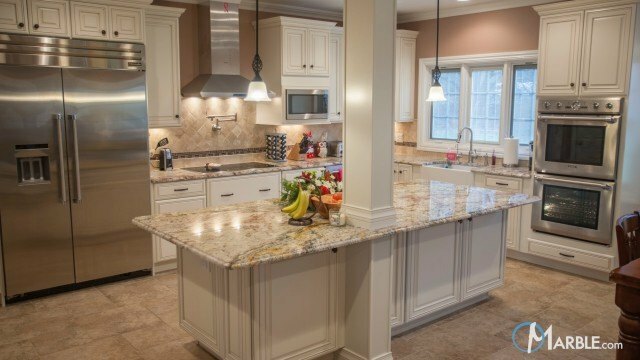 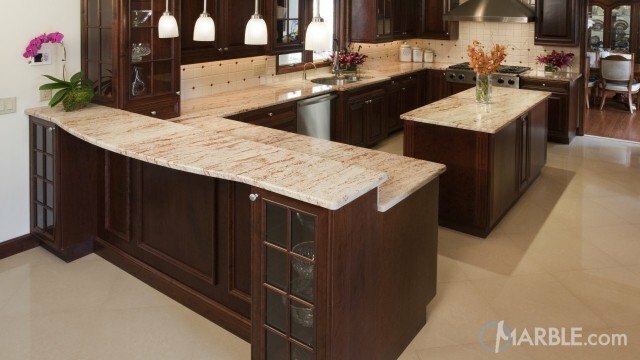 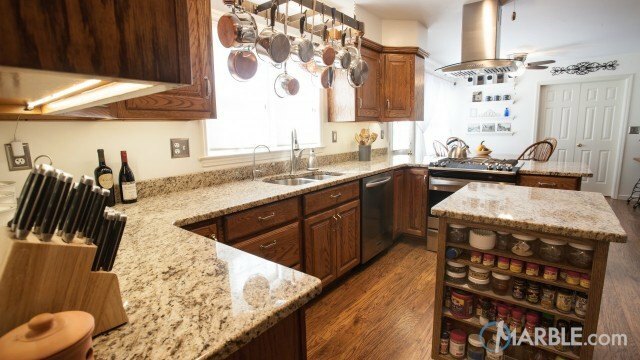 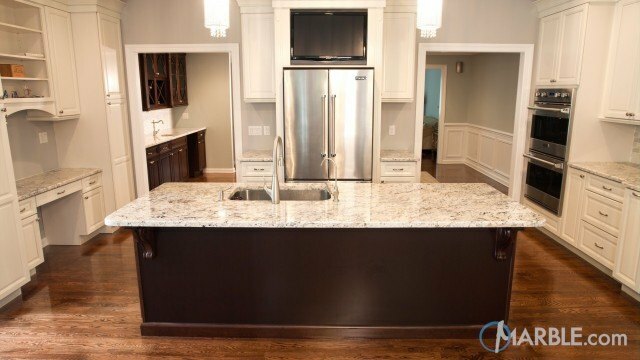 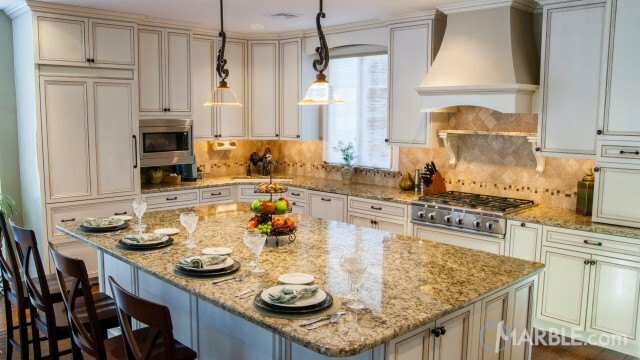 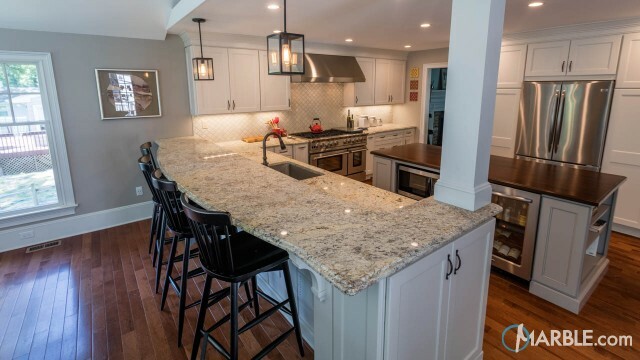 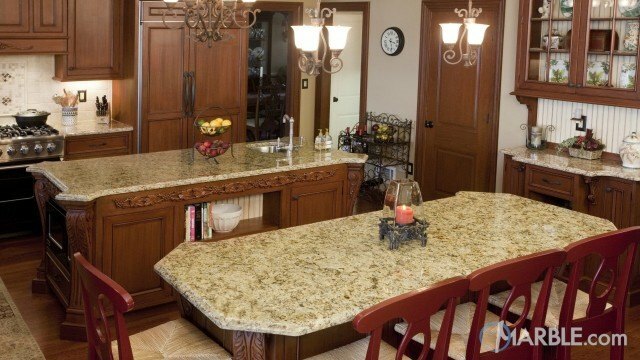 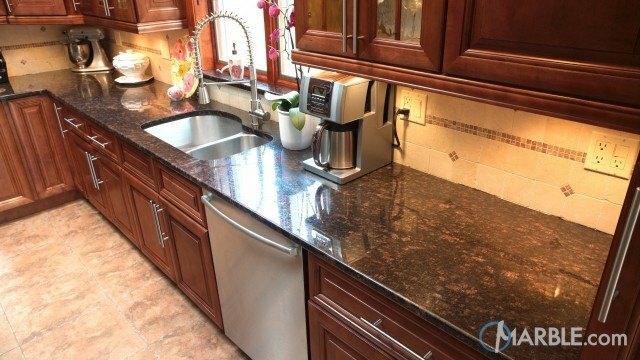 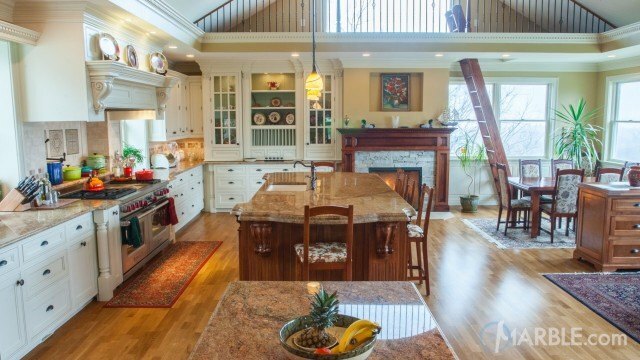 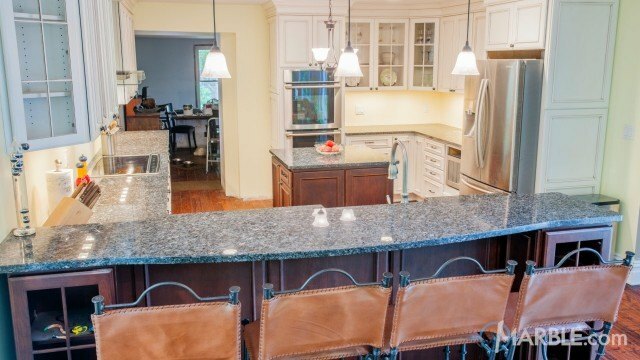 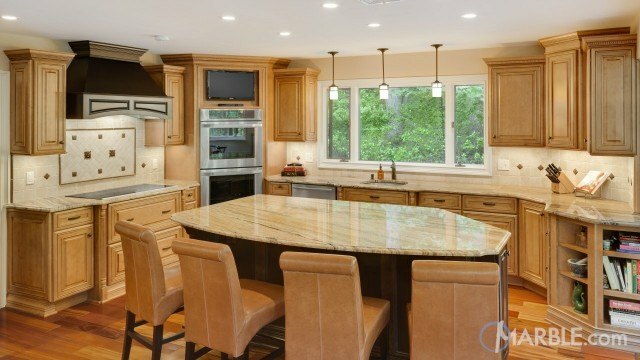 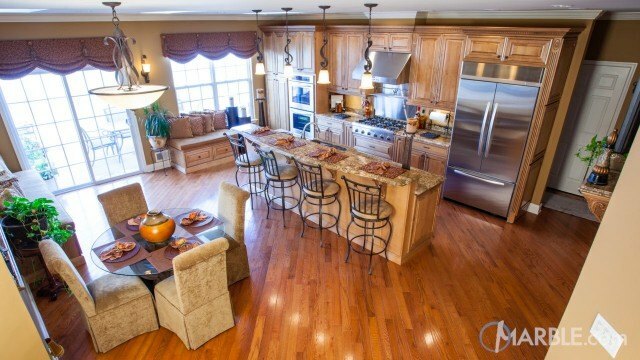 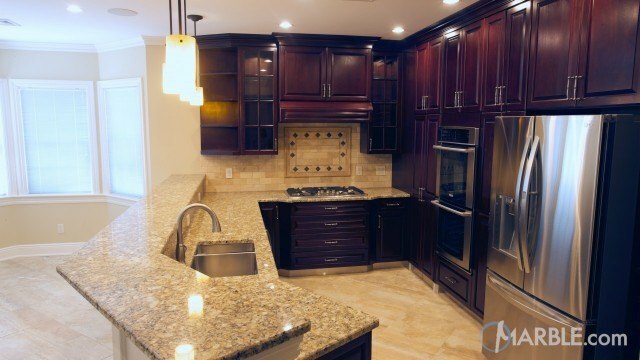 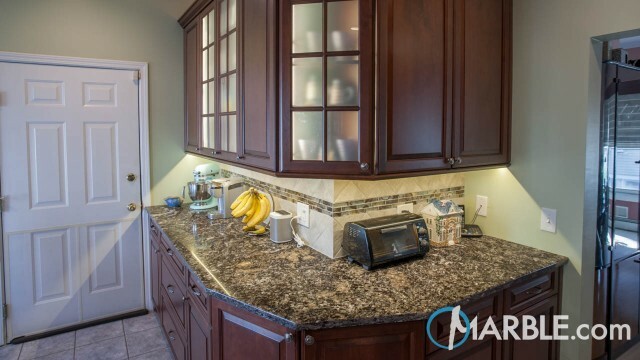 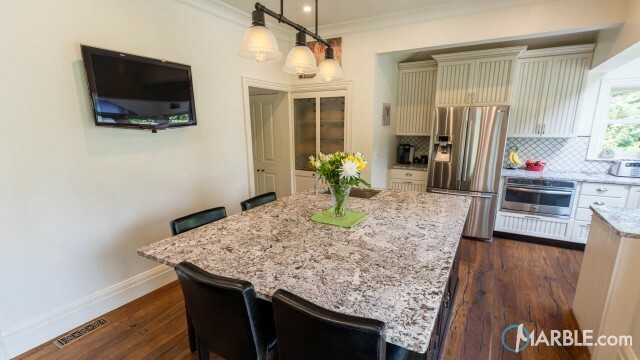 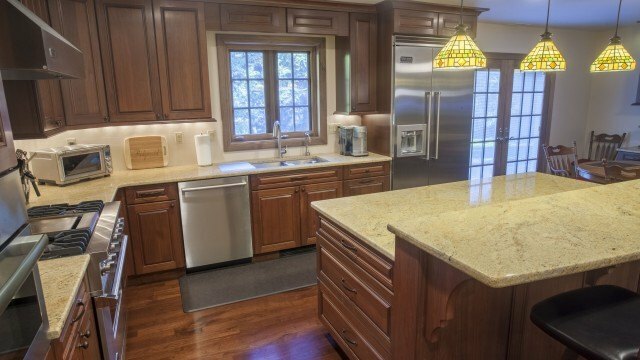 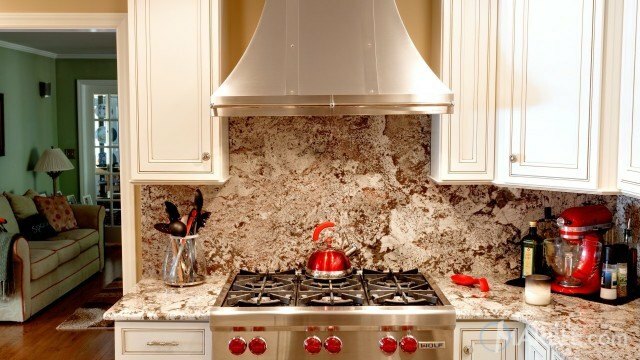 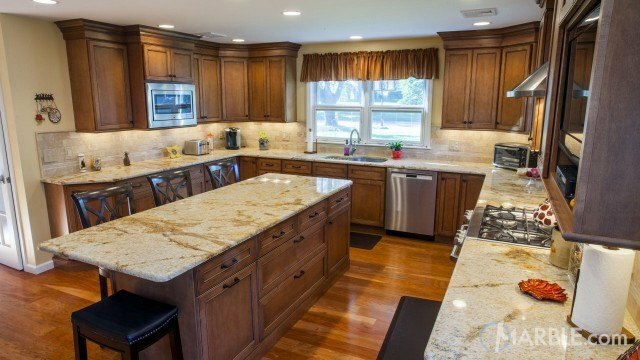 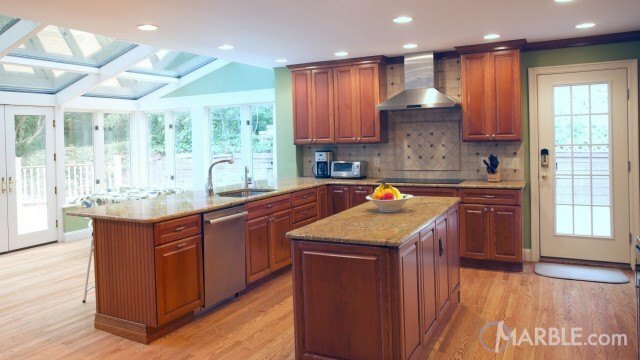 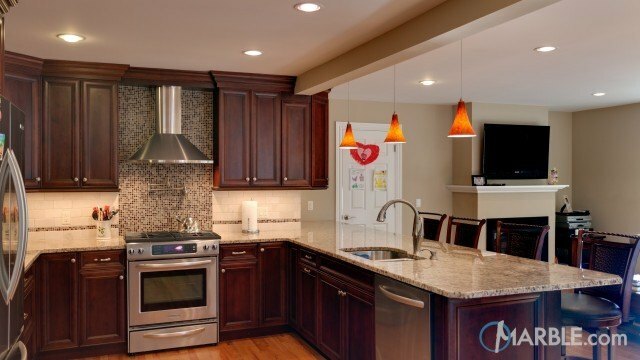 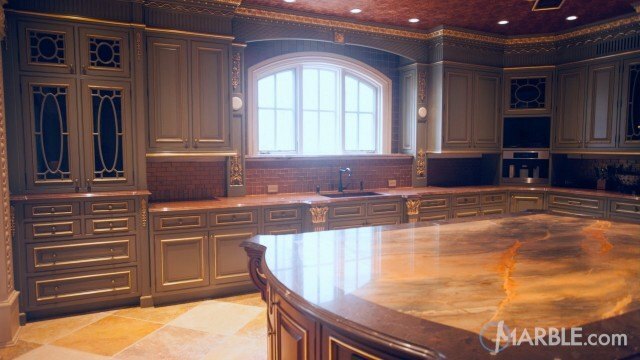 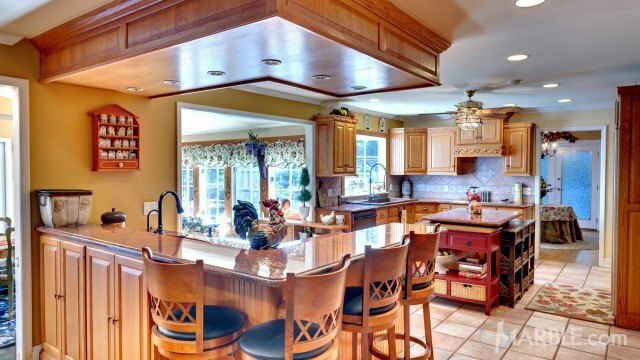 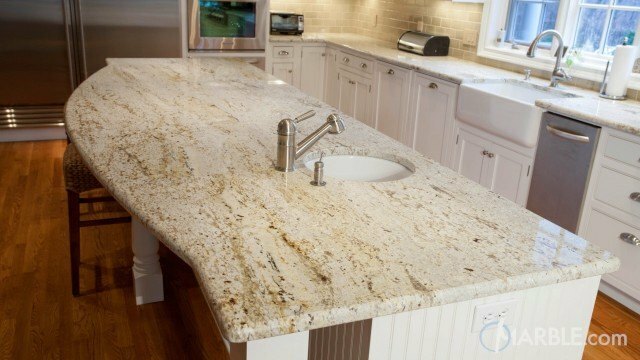 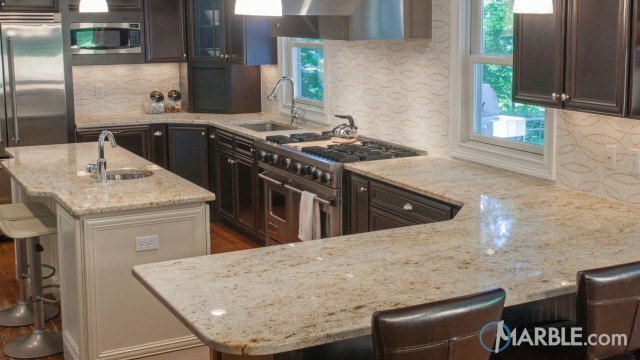 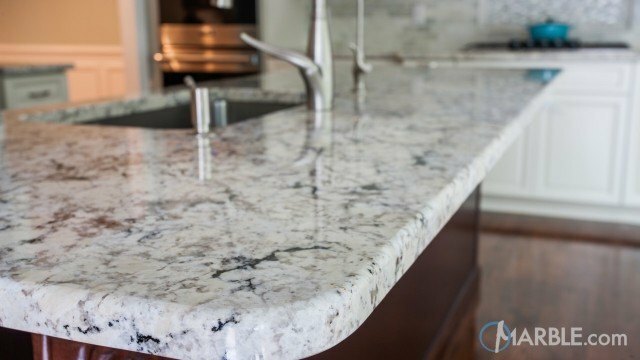 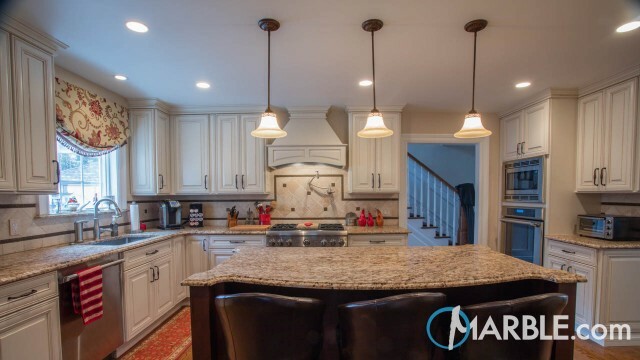 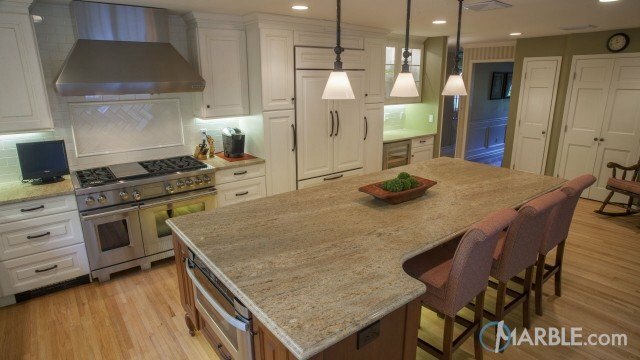 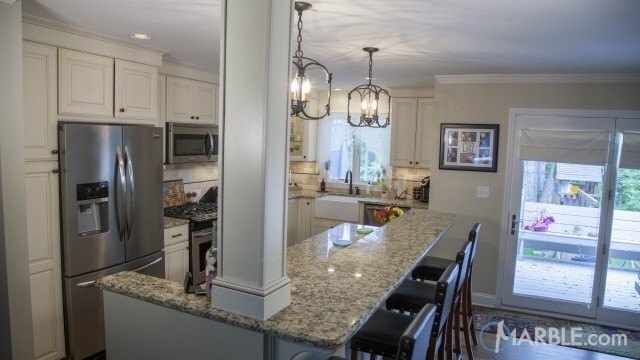 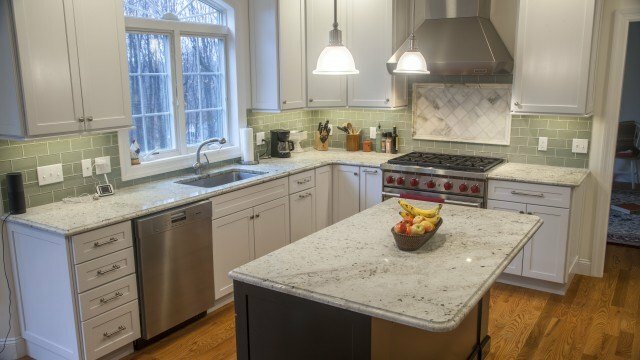 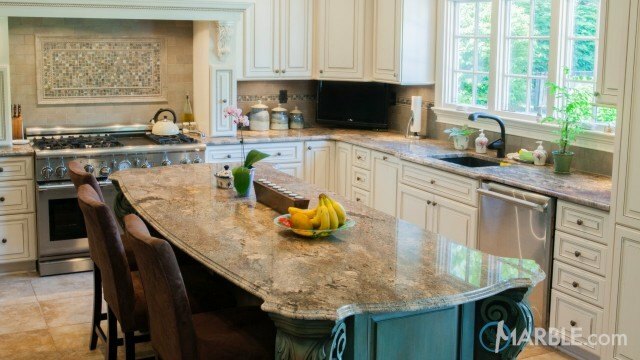 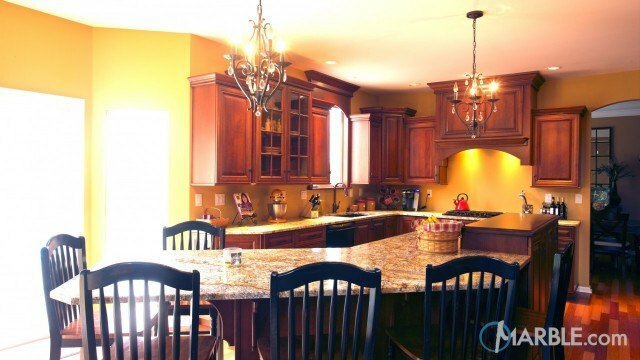 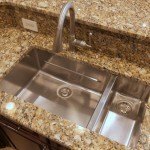 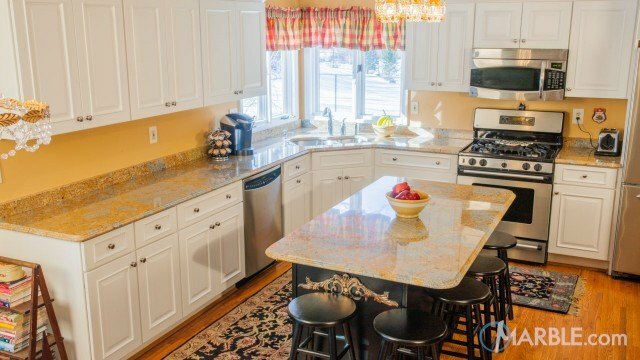 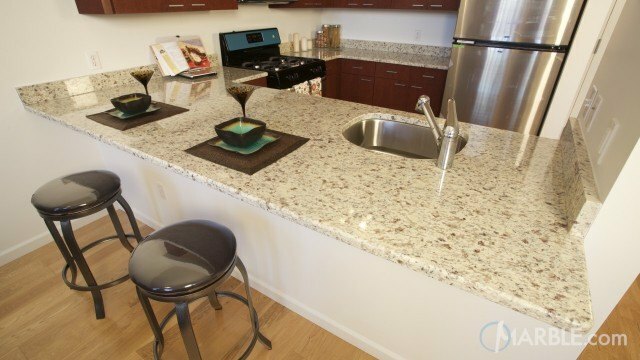 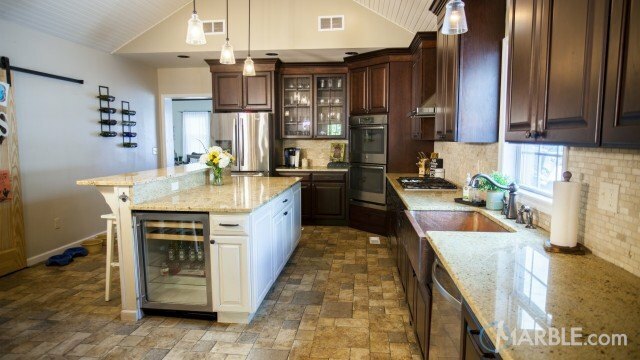 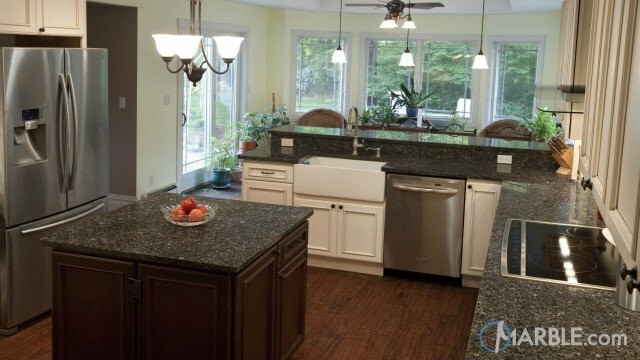 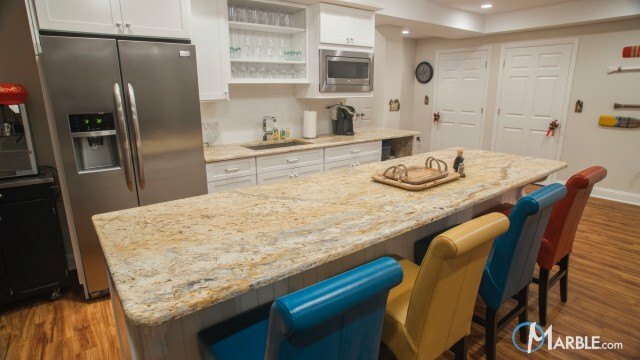 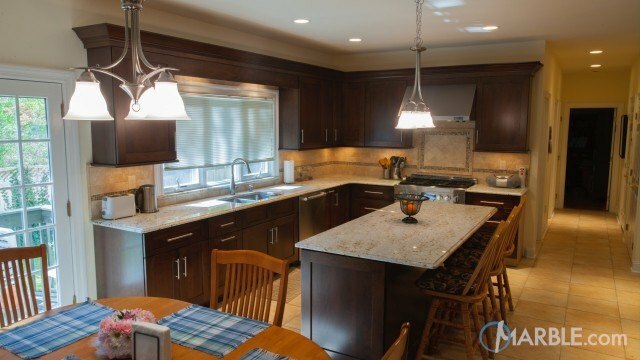 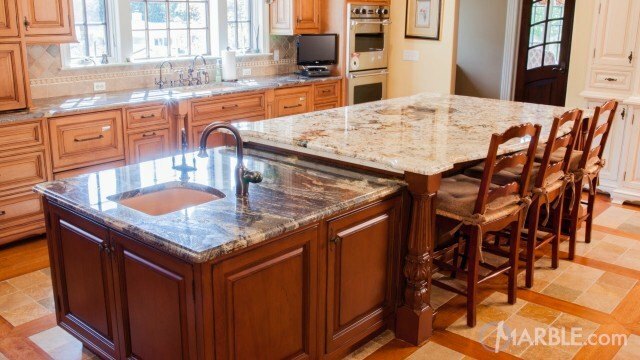 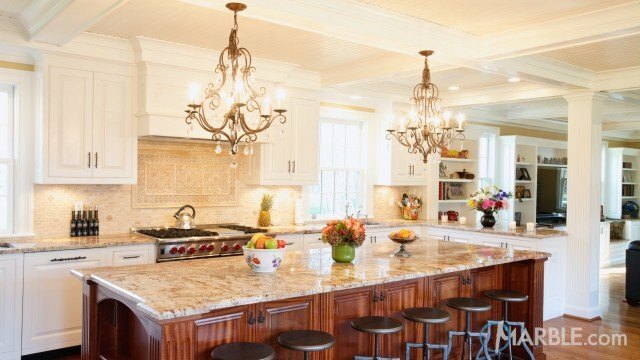 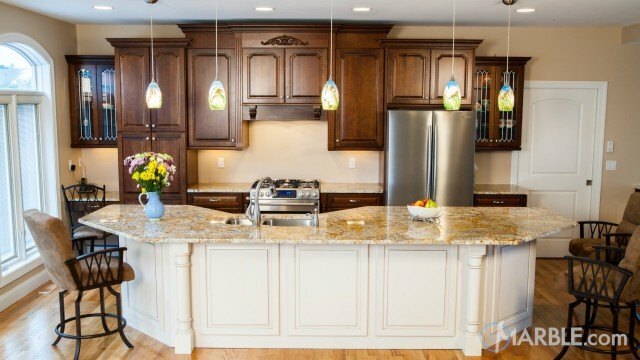 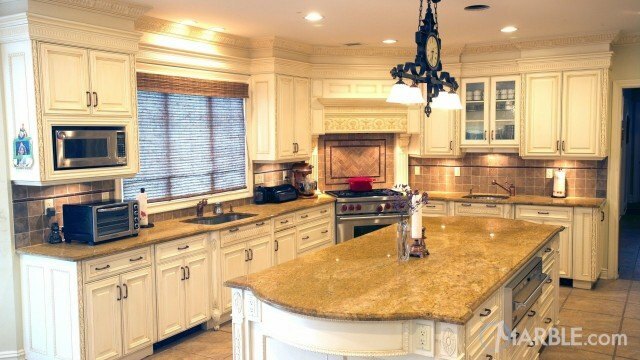 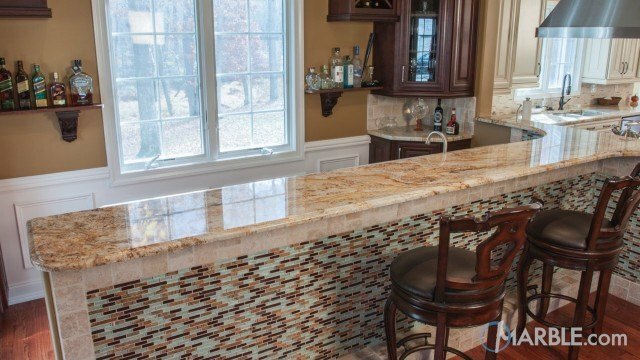 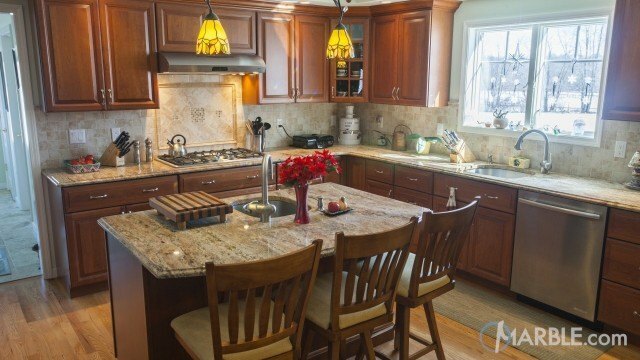 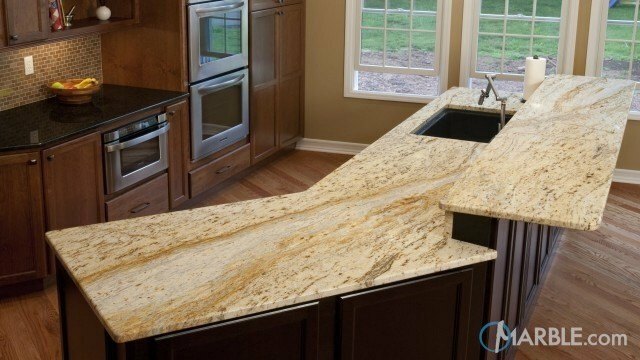 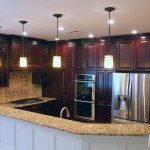 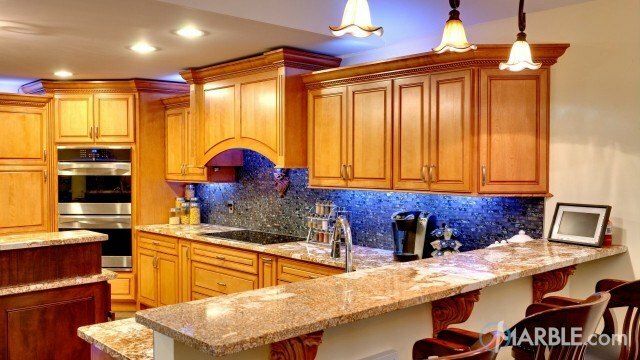 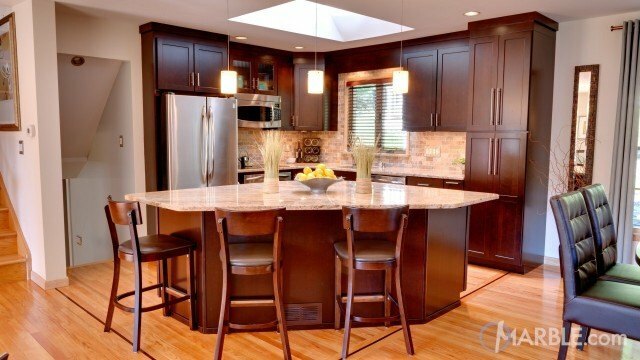 Simple pulls on the cabinets and the amber glass front end cabinet set off the granite bar.